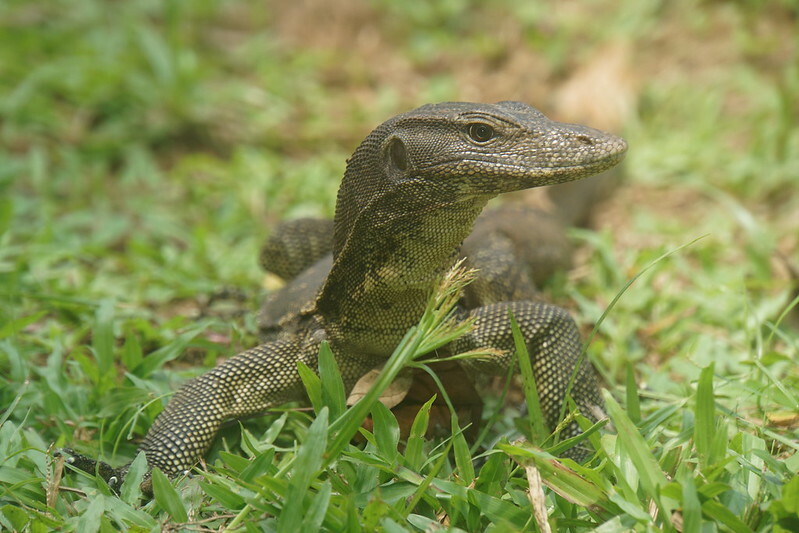 Near tourist centre there was a Varanus salvator macromatulatus. 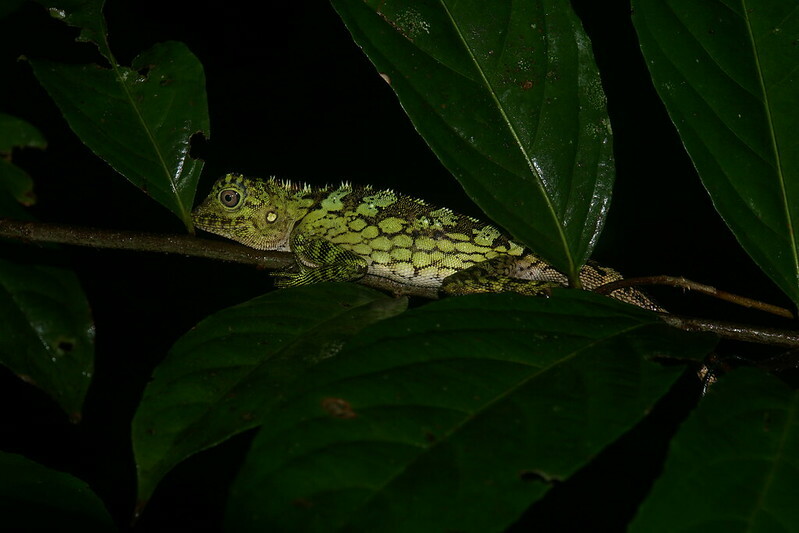 I like your taeniura finding outside the cave: a very yellow specimen! 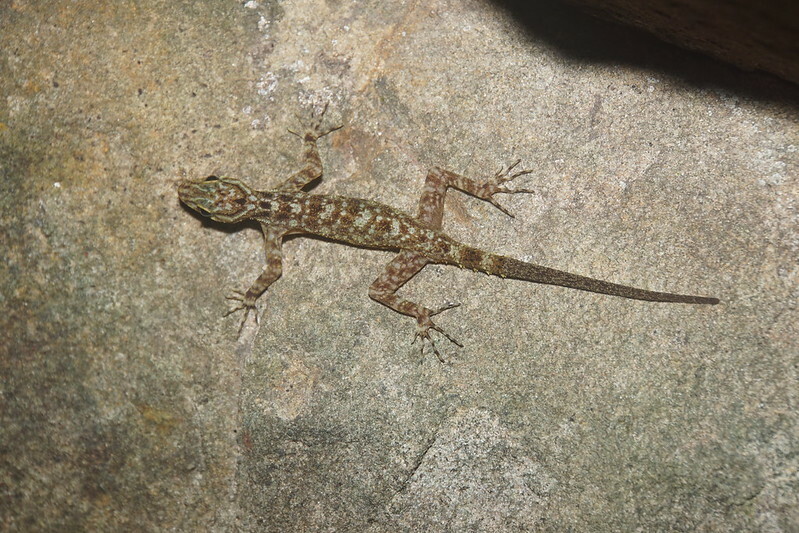 I saw this species (2 specimens) only inside a cave. 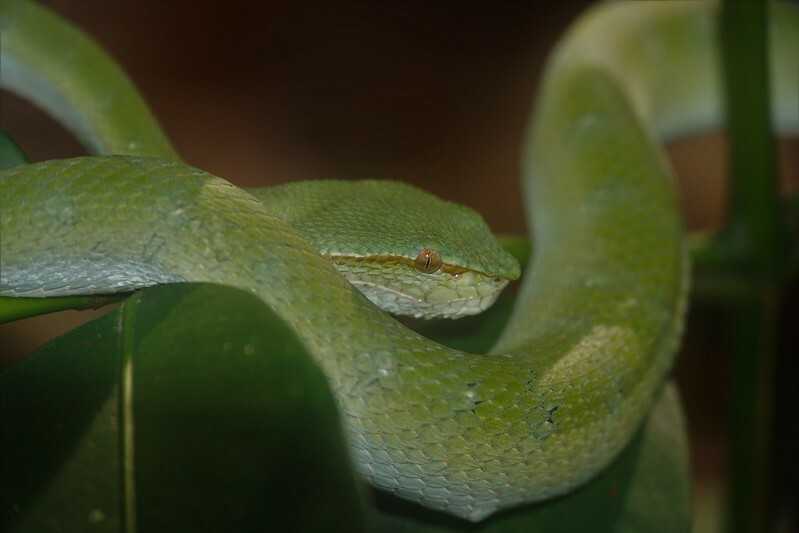 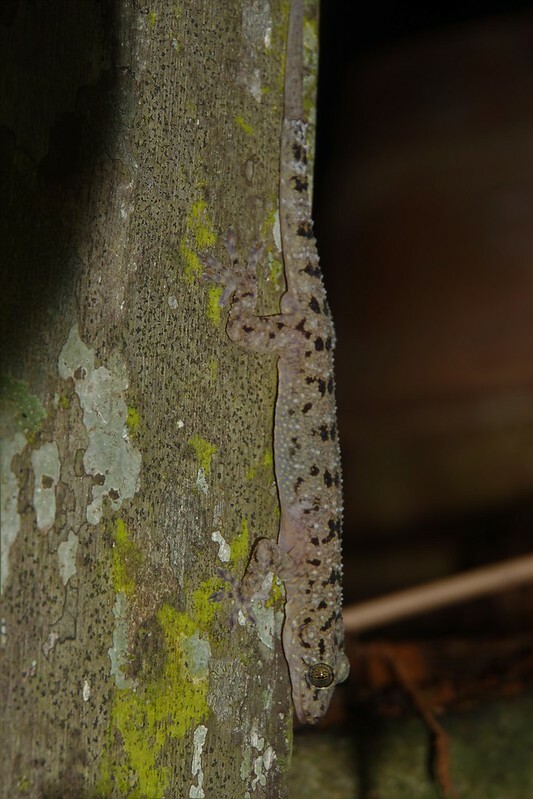 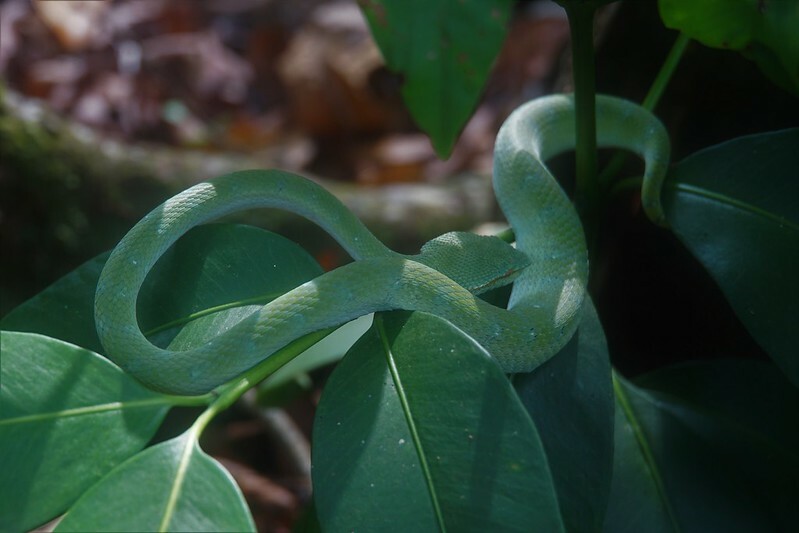 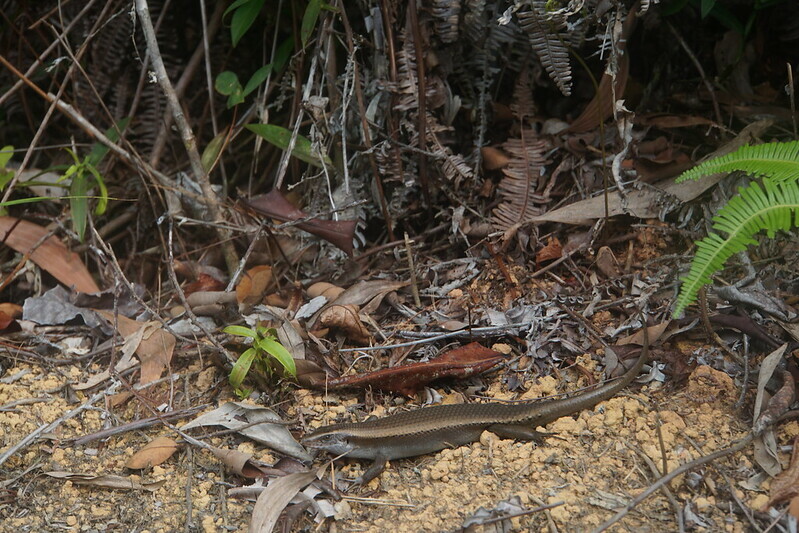 No crocs in Sugei Buloh but a nice herp this Chrysopelea paradisi!!! 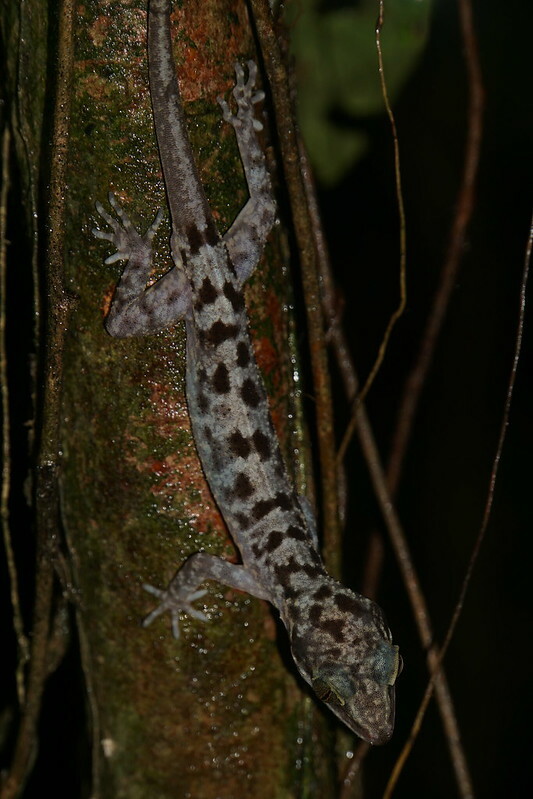 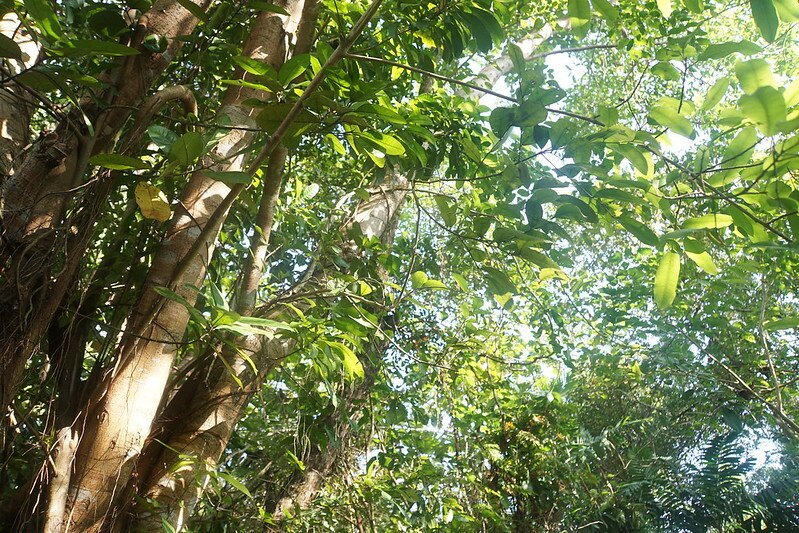 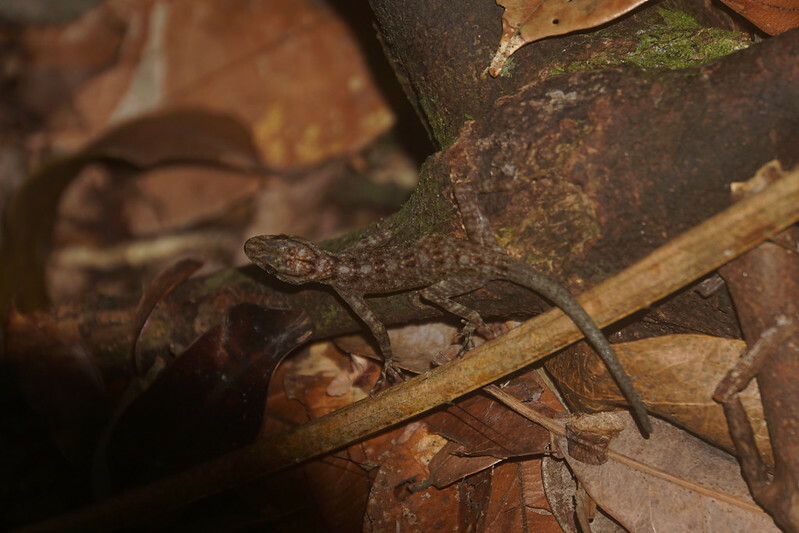 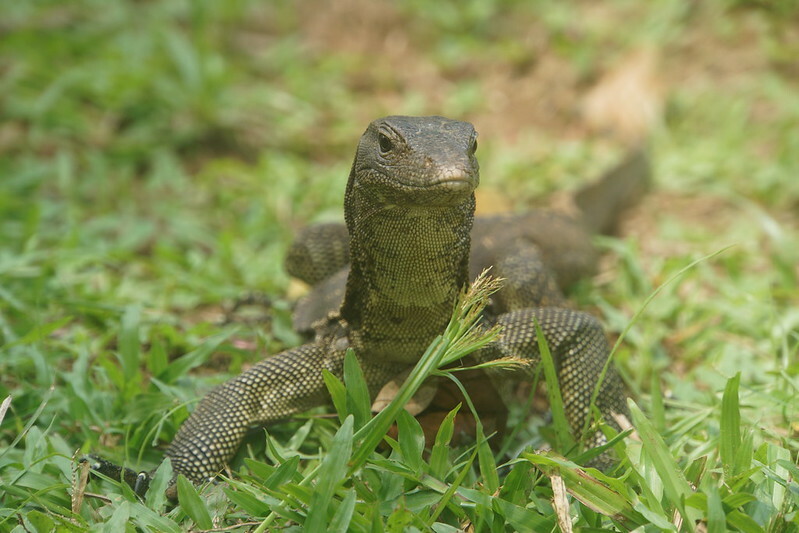 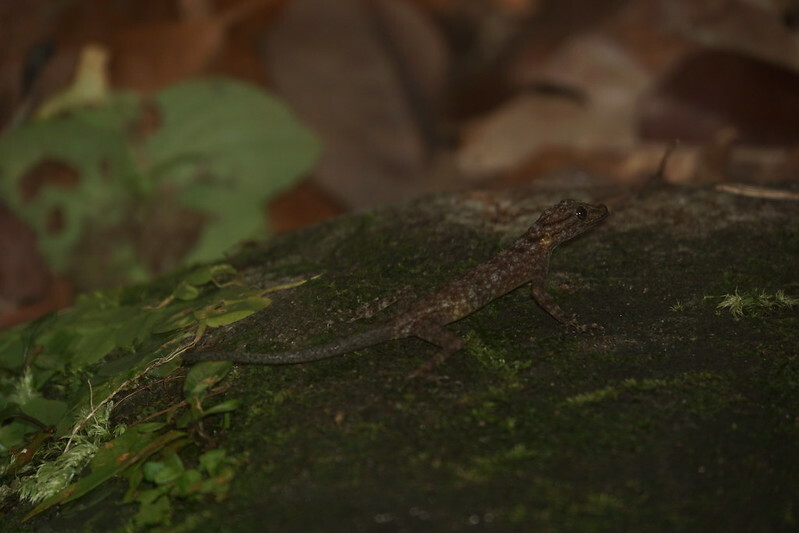 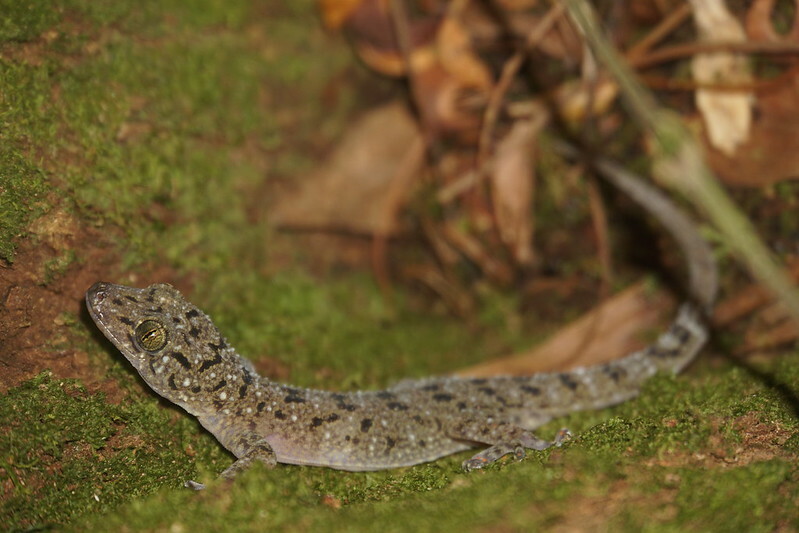 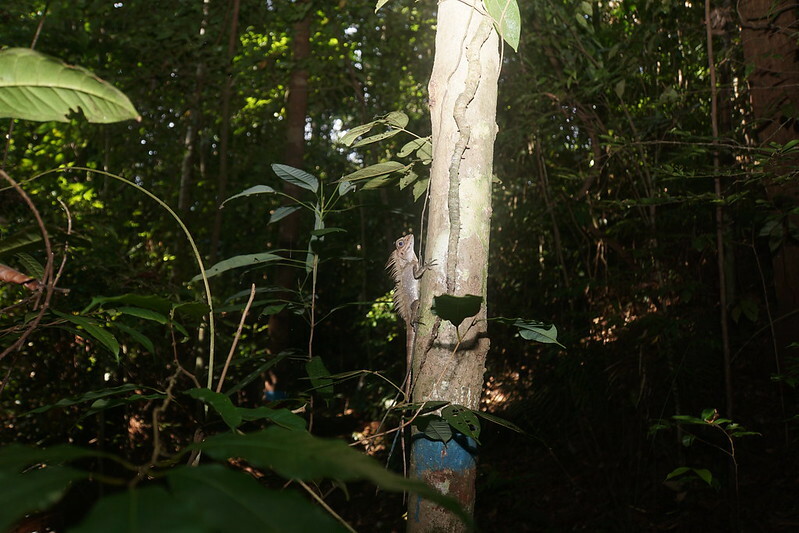 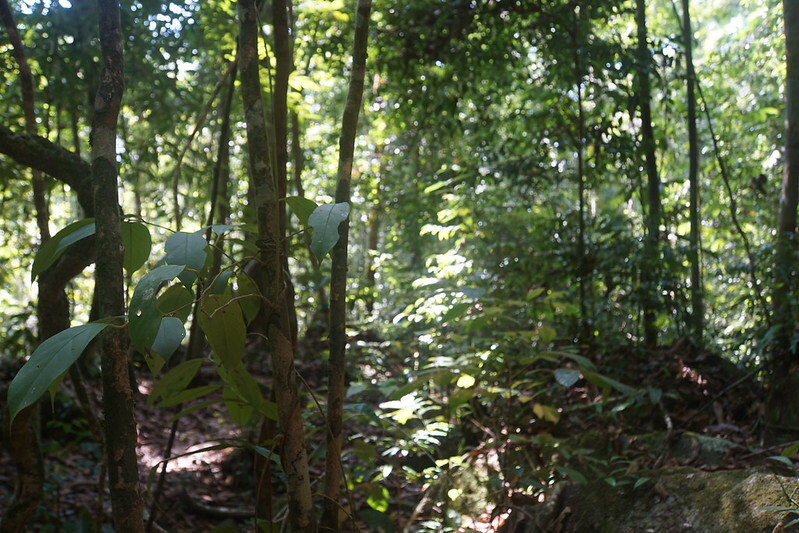 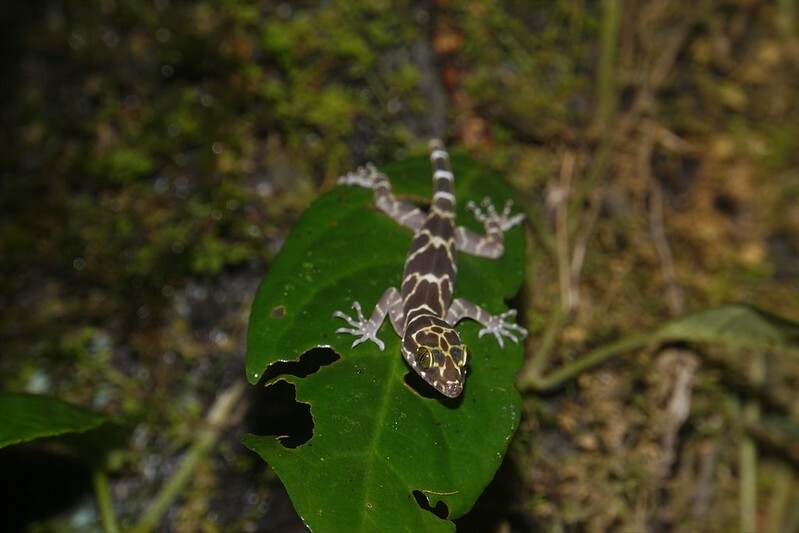 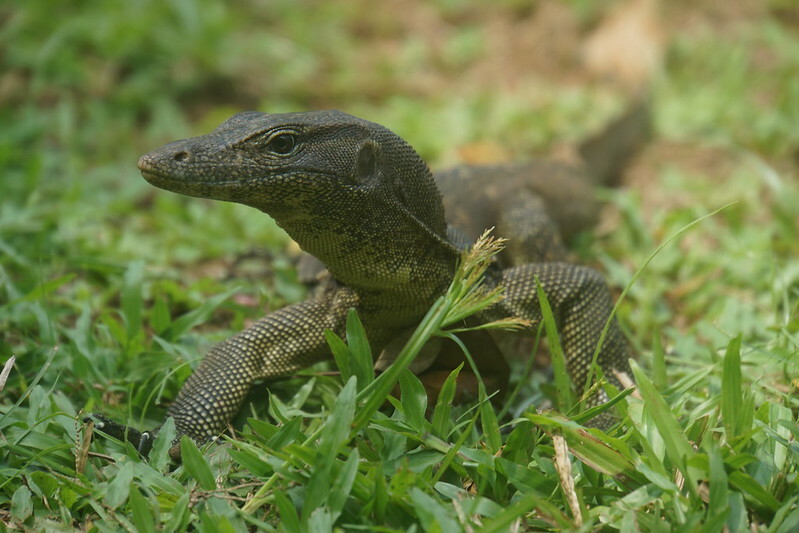 The following day I made Permai forest walk trip to find agamas. 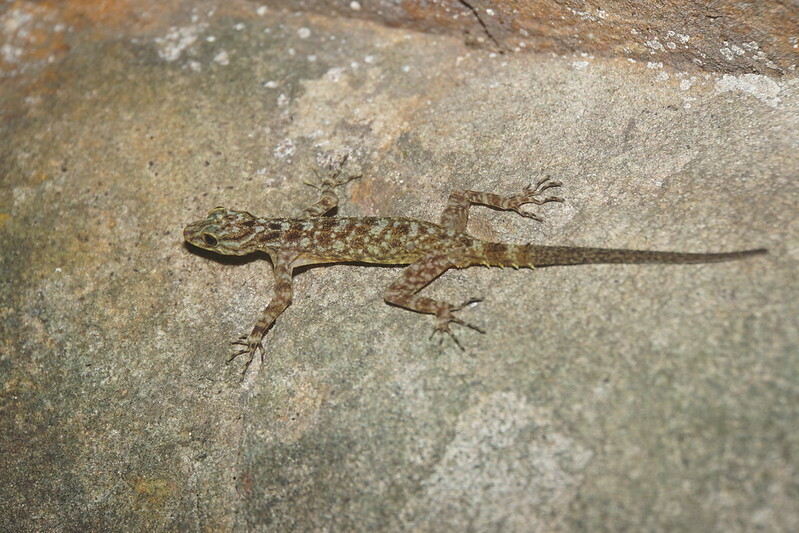 I found the first Gonocephalus liogaster quite quickly. 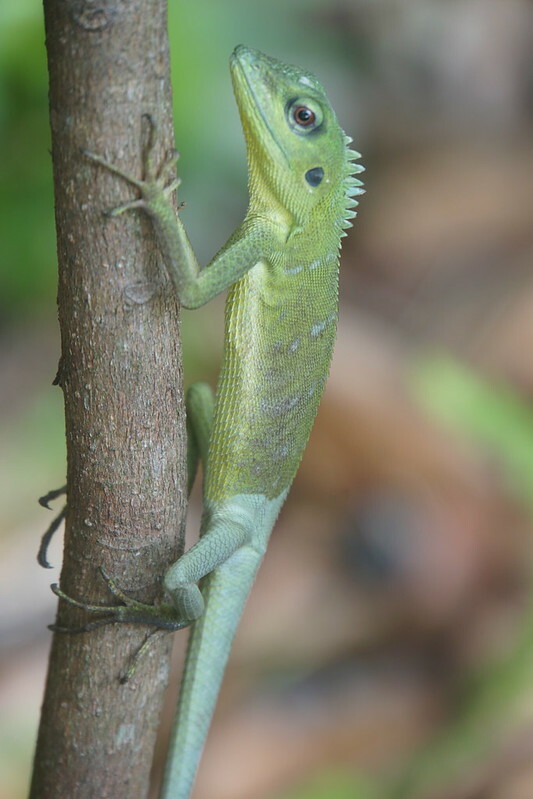 This one is an adult male since its irises are blue. 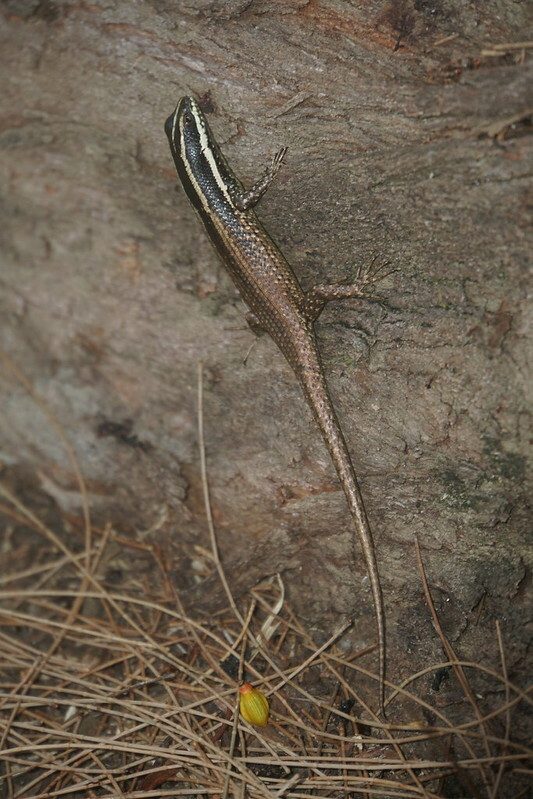 I also spotted a skink, Sphenomorphus cyanolaemus. 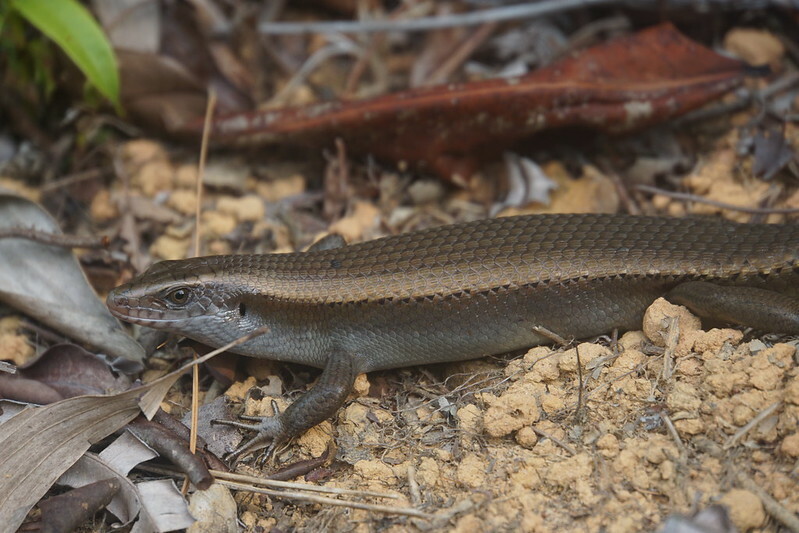 The genra is now regarded as a "wastebin taxon" so the skinks in this part of the world are not well researched yet. 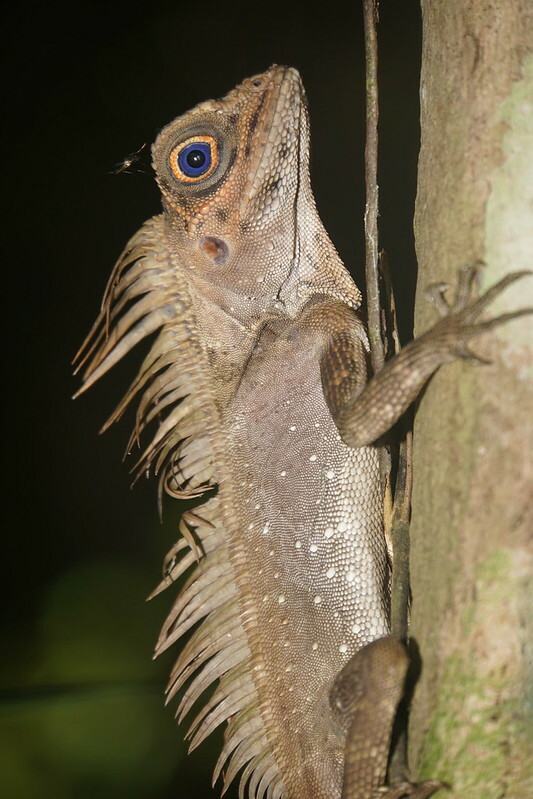 I even scored second encounter with Gonocephalus liogaster but this male is probably much older than the previous one since this one has pronounced crest. 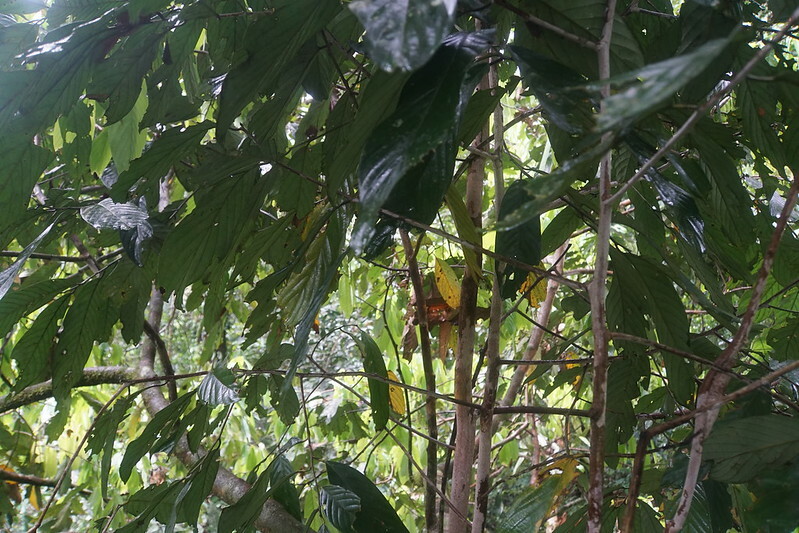 After the walk I bought an ice cream and I was told by hotel employee about a snake in a tree, it was not easy to spot it! 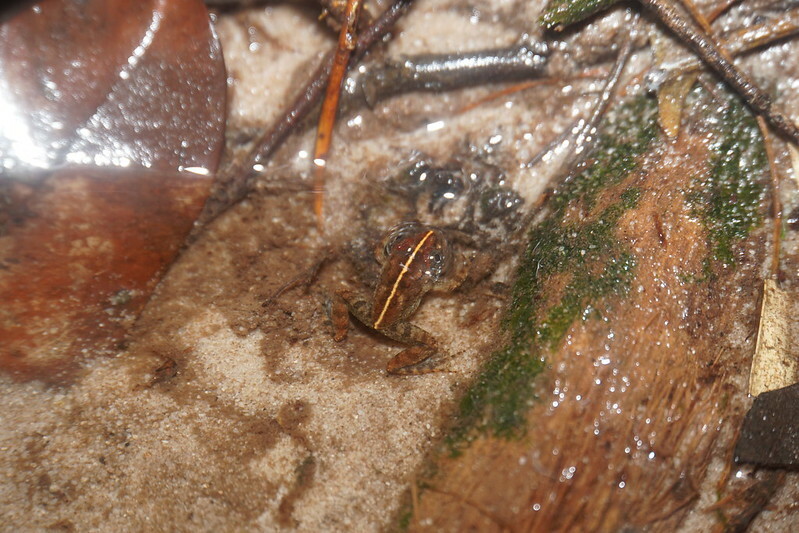 Then I descended to a beach and spoted something runing away- it was Bronchocela cristatella. 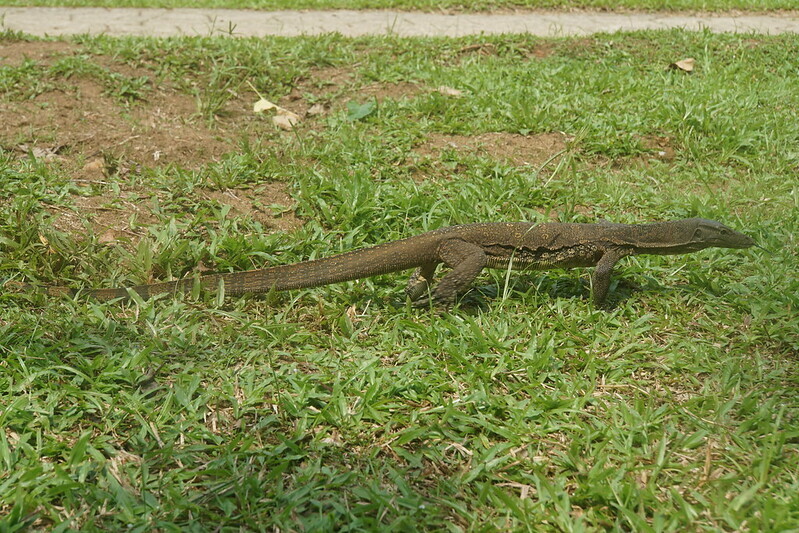 The lizard turned brown when I stressed it a bit by taking photos. 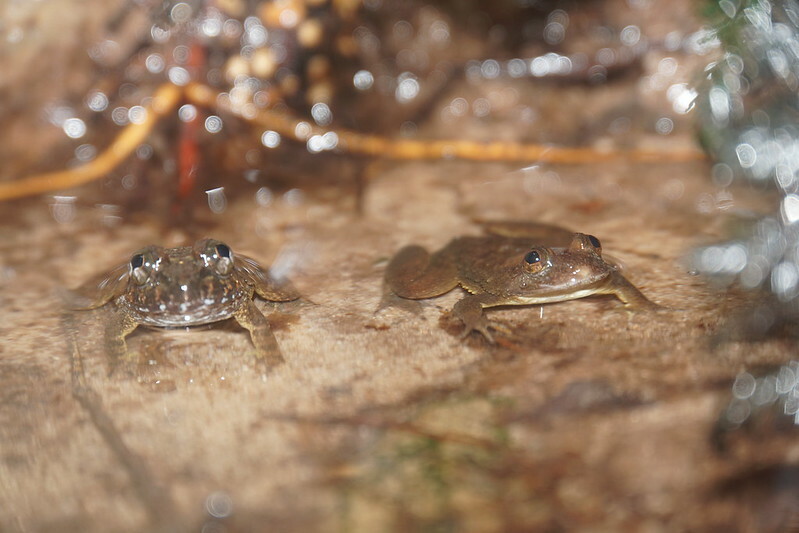 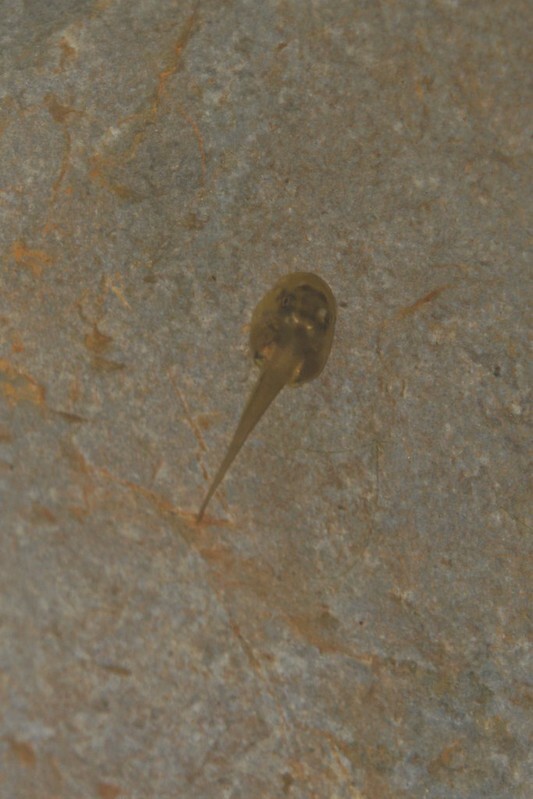 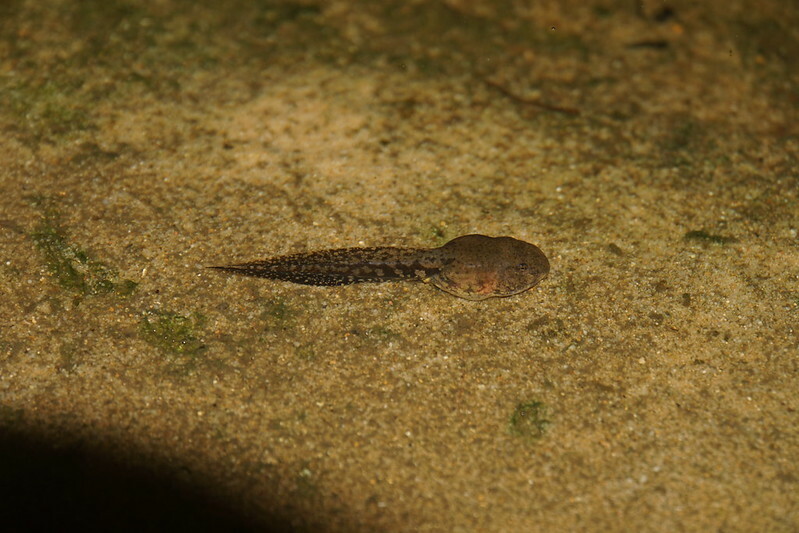 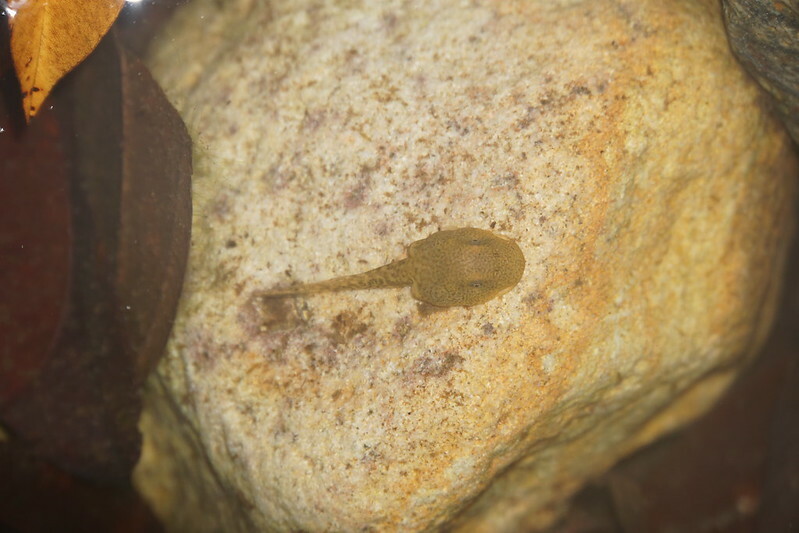 Next day I went to Santubong and found some tadpoles in a creek, probably Meristogenys spp., which were sharing the habitat with shrimps. 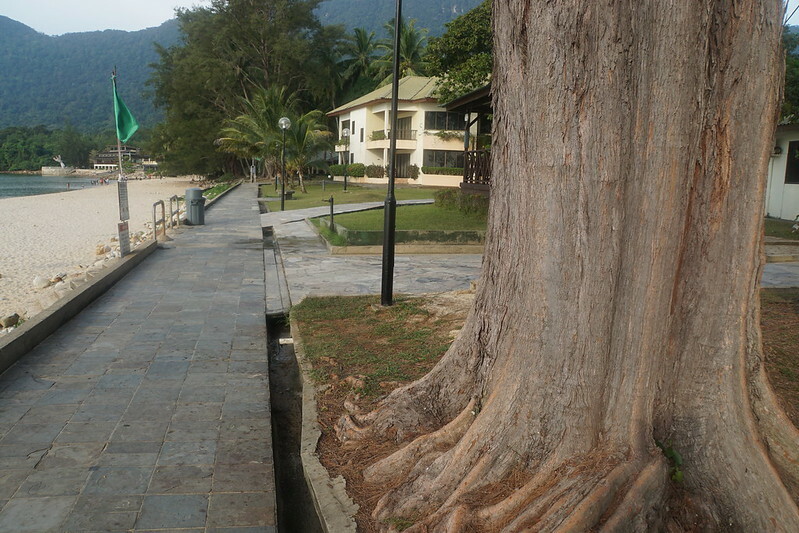 The shrimps were being caught for fun by kids of locals who were picnicking there. 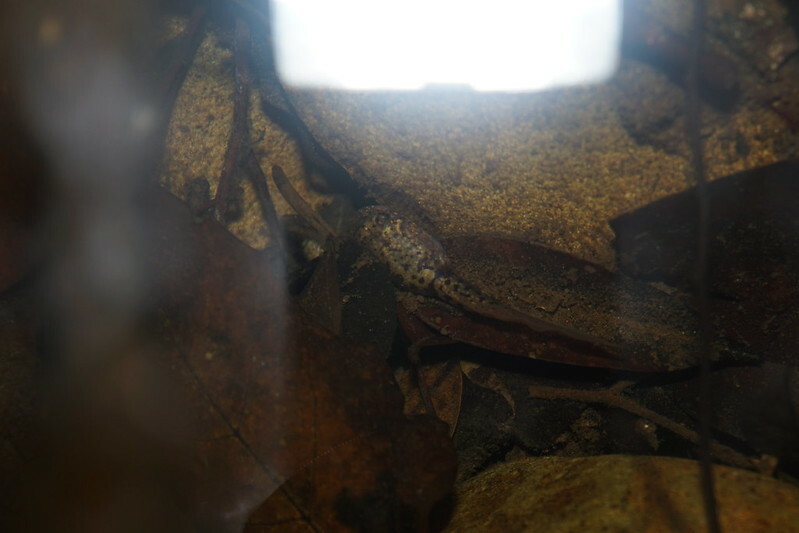 After sunset I visited a hotel pond full of fish and found adult female of Hylarana erythrea sitting next to a pond. 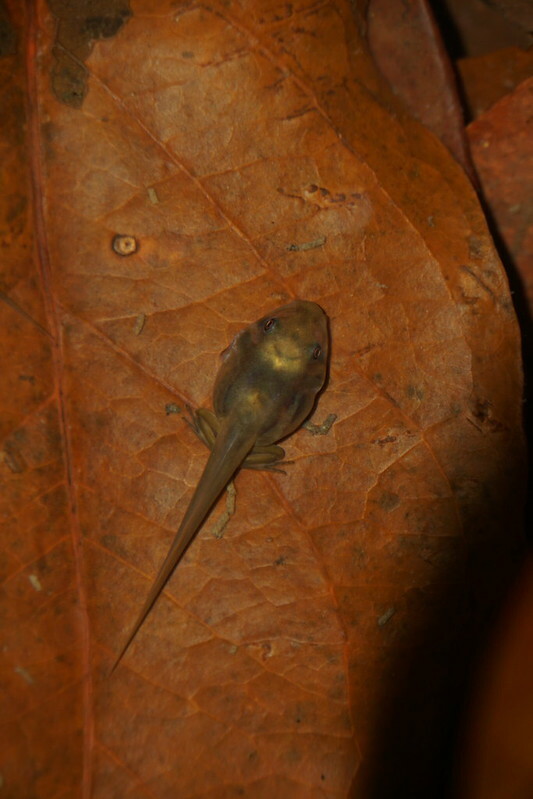 This species has never been reported in that area so I might publish that observation. 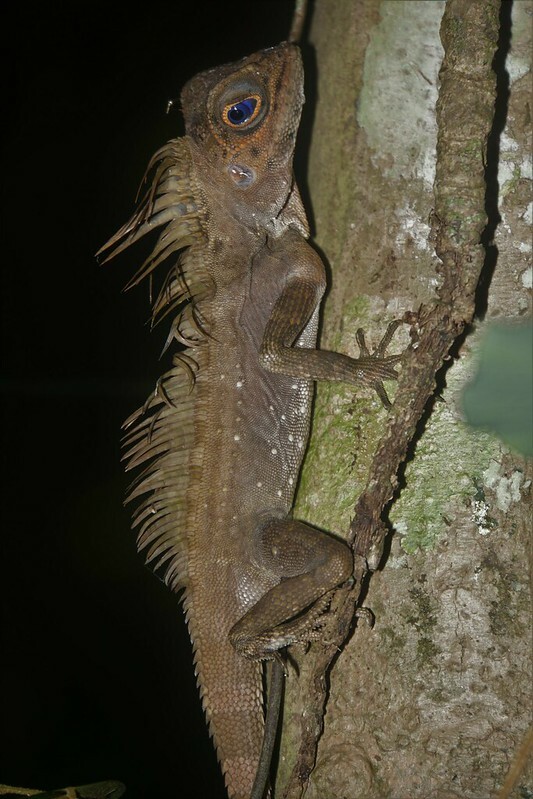 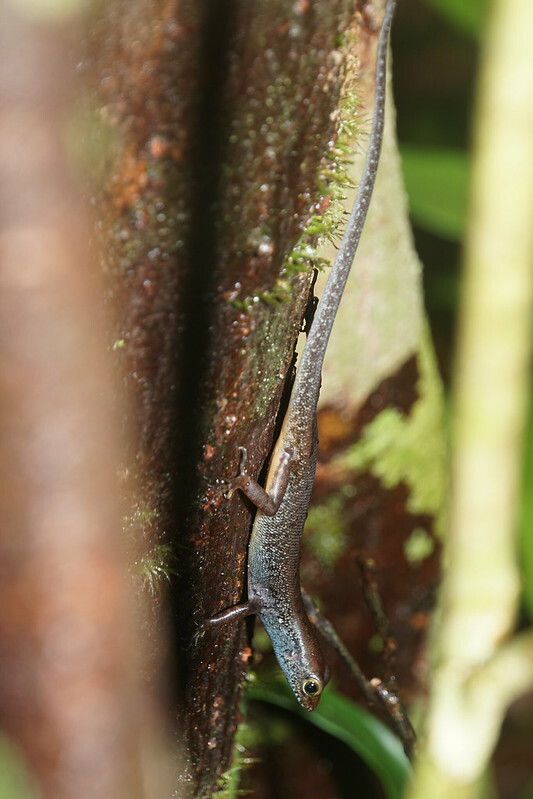 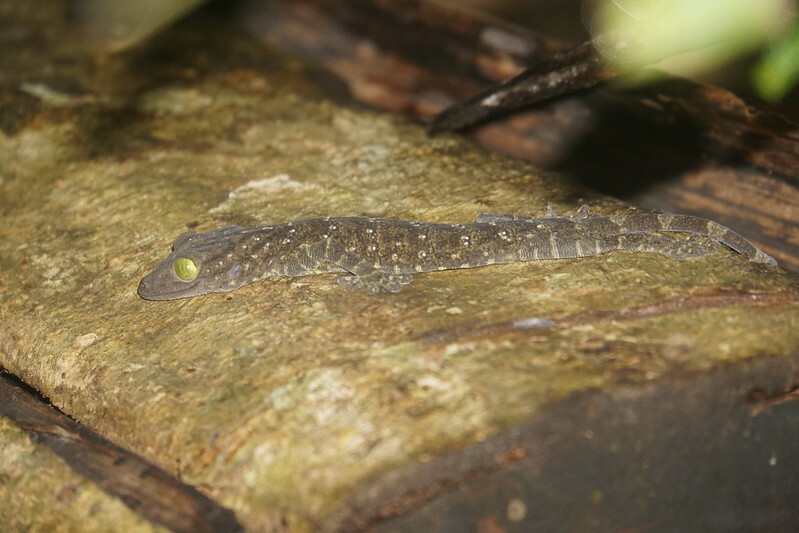 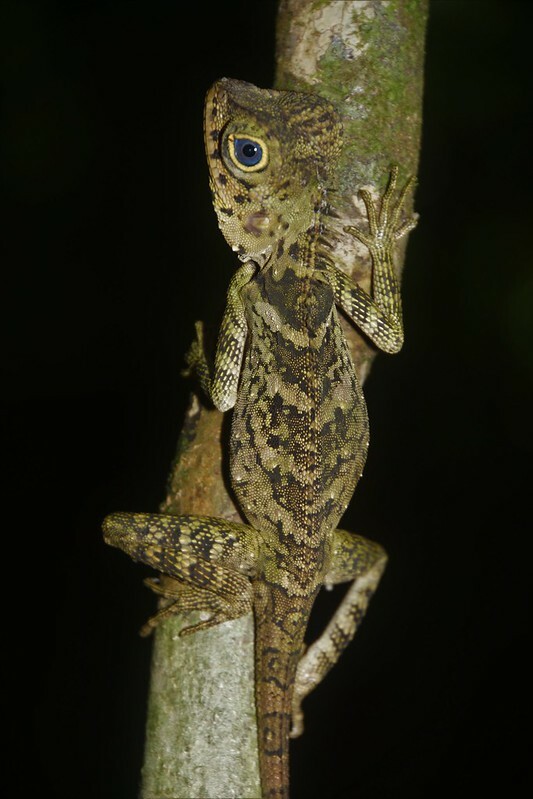 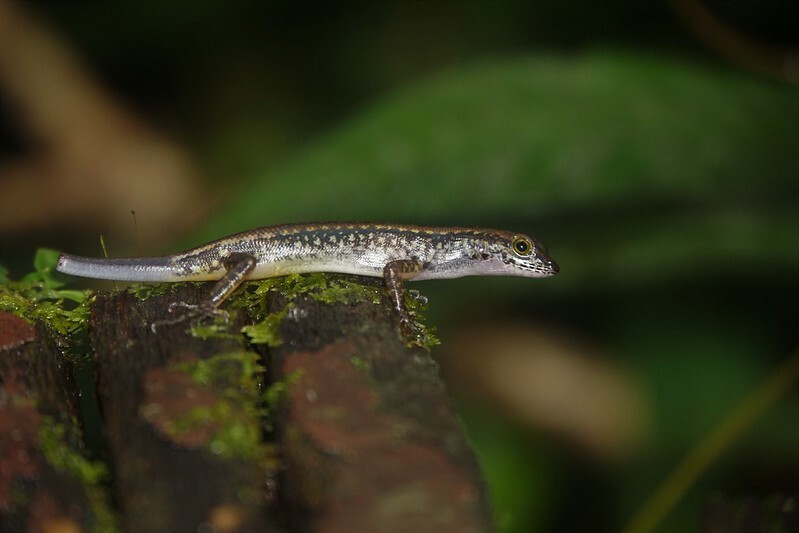 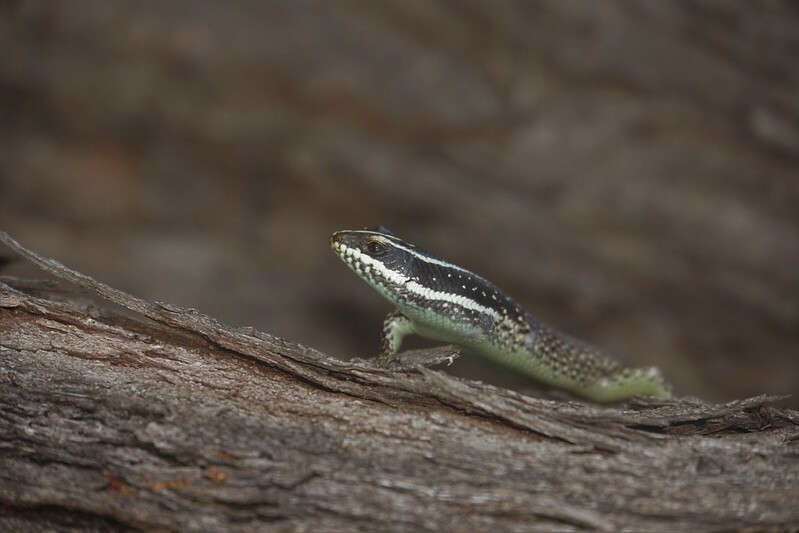 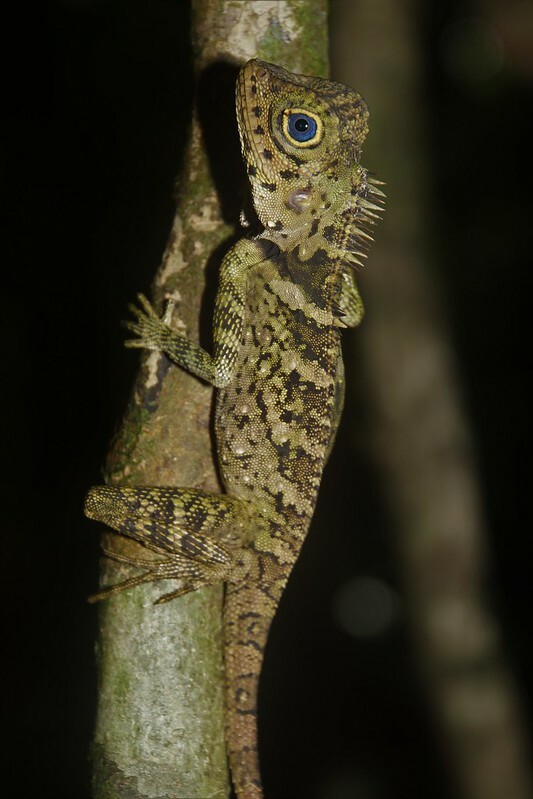 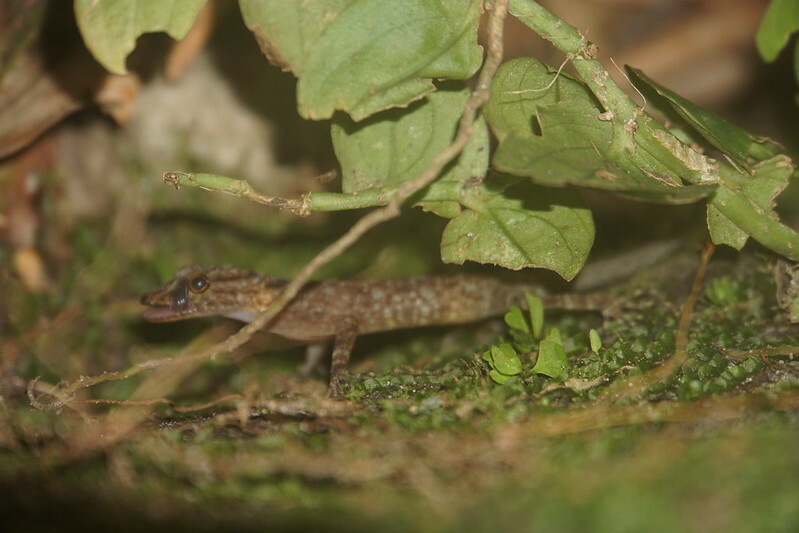 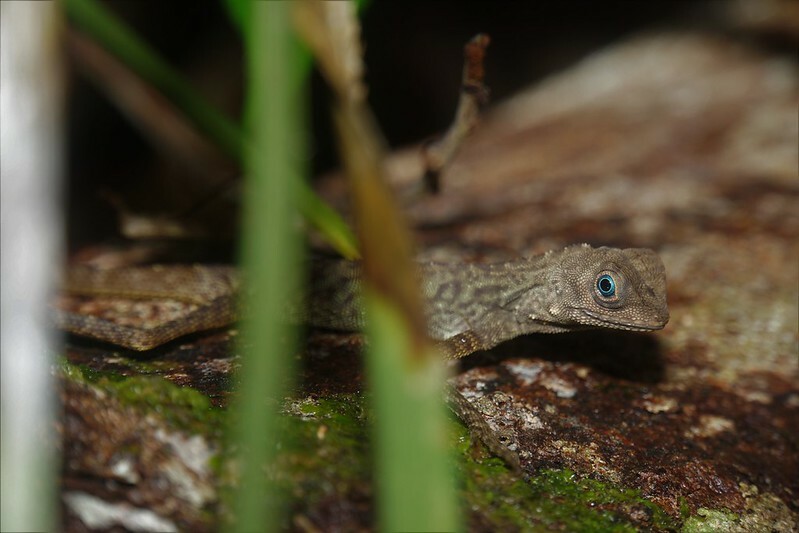 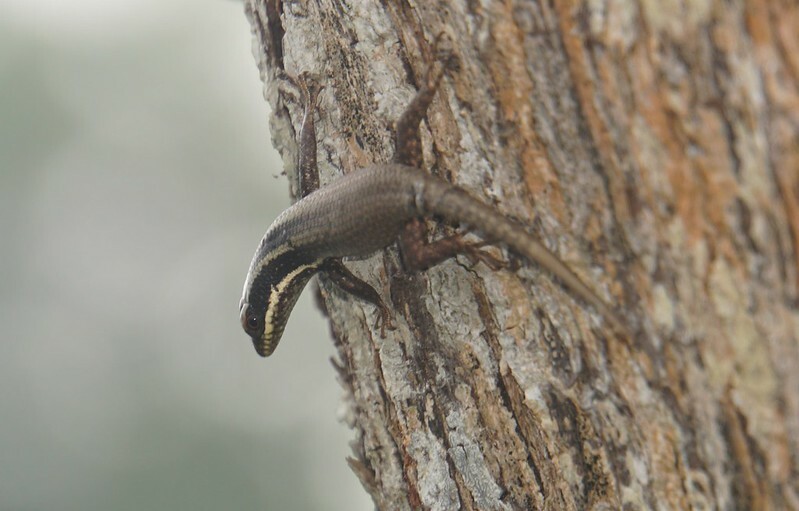 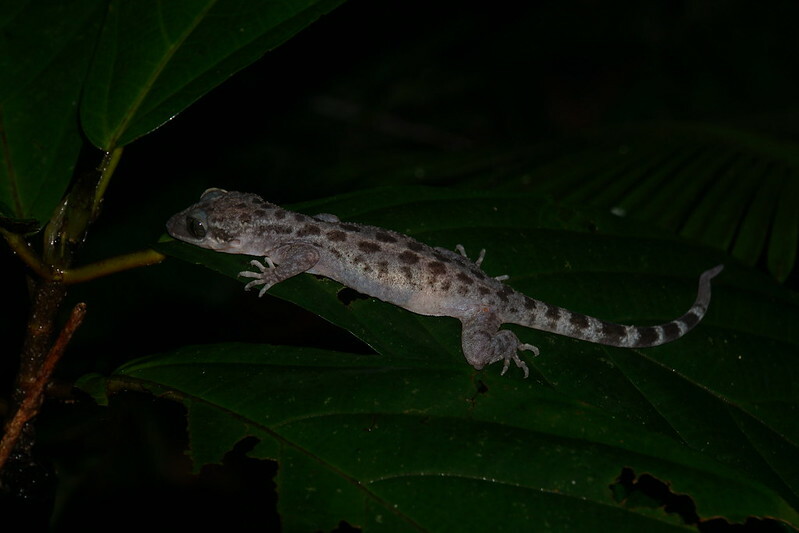 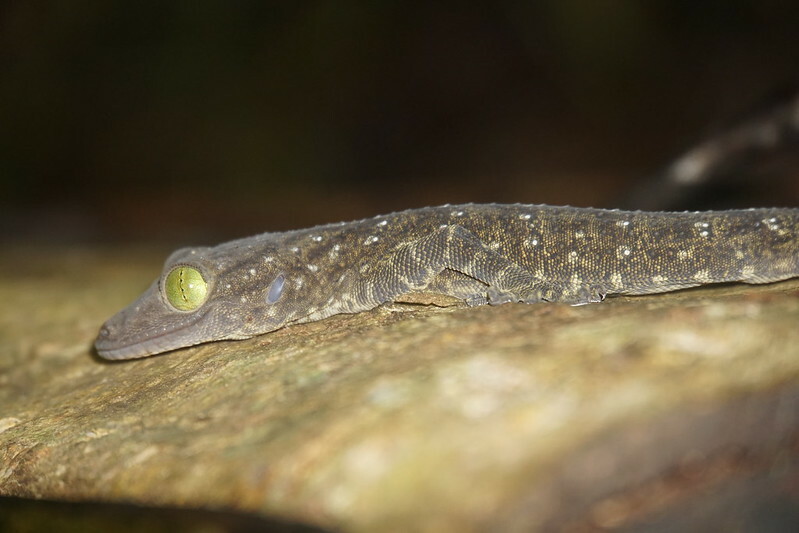 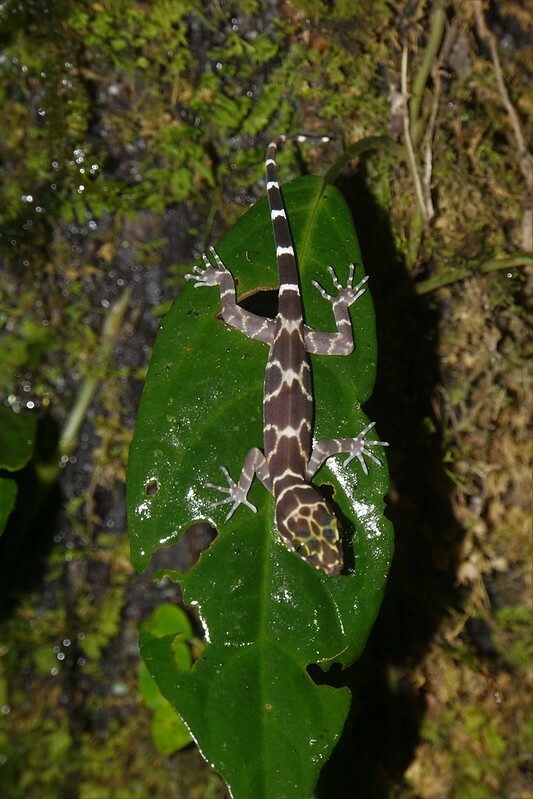 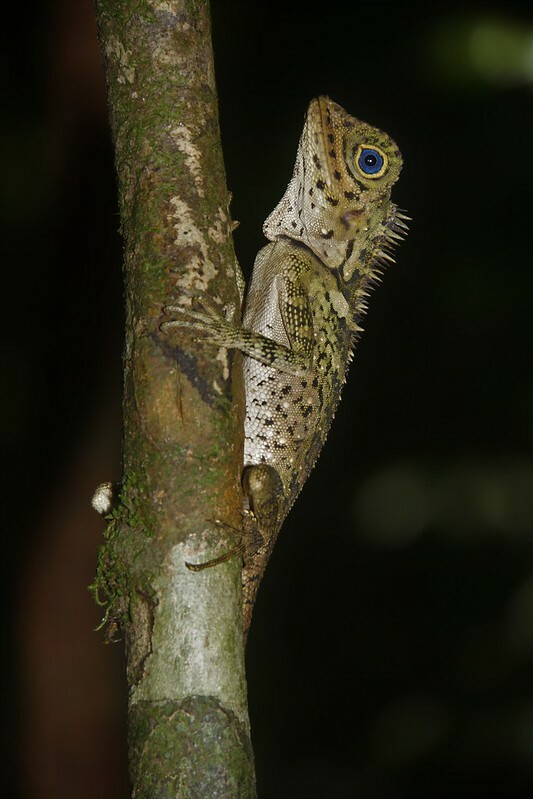 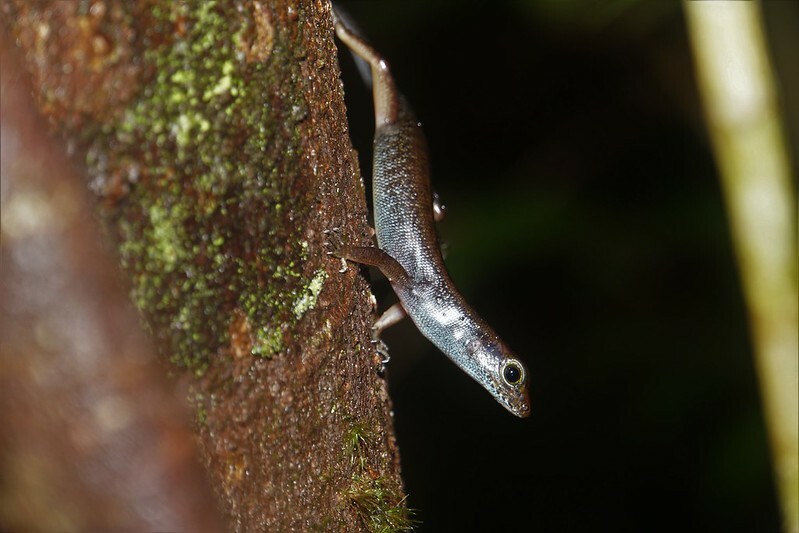 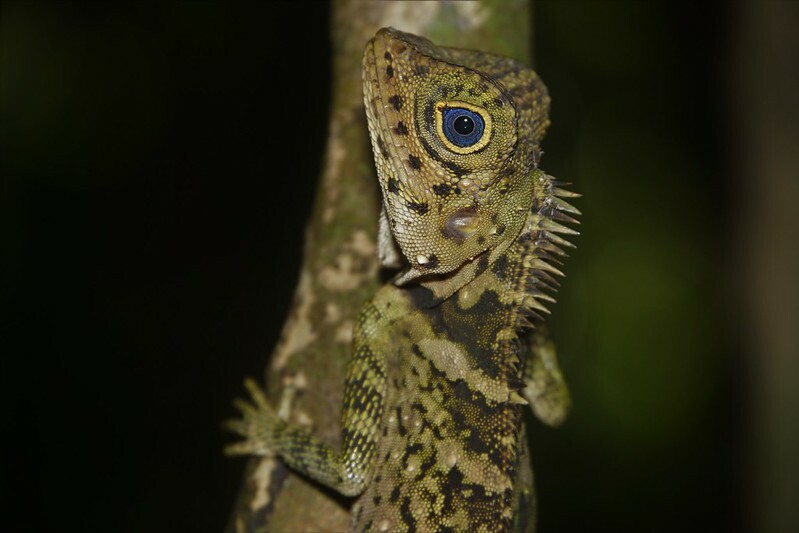 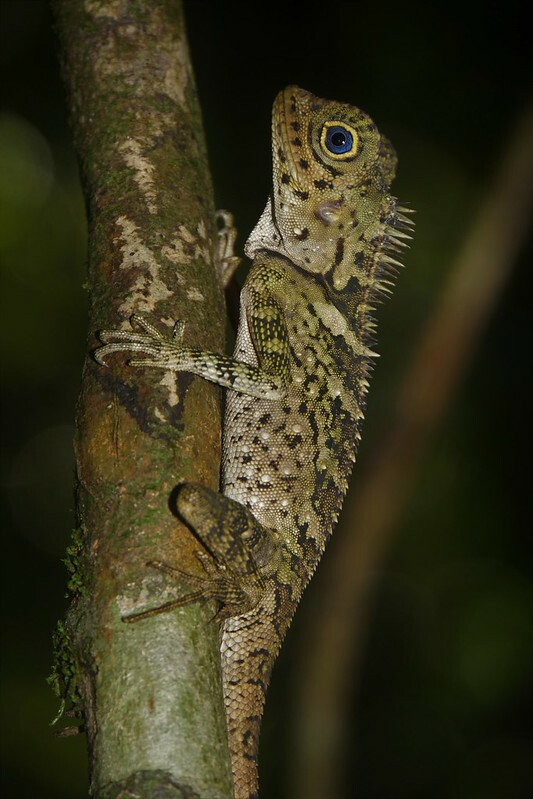 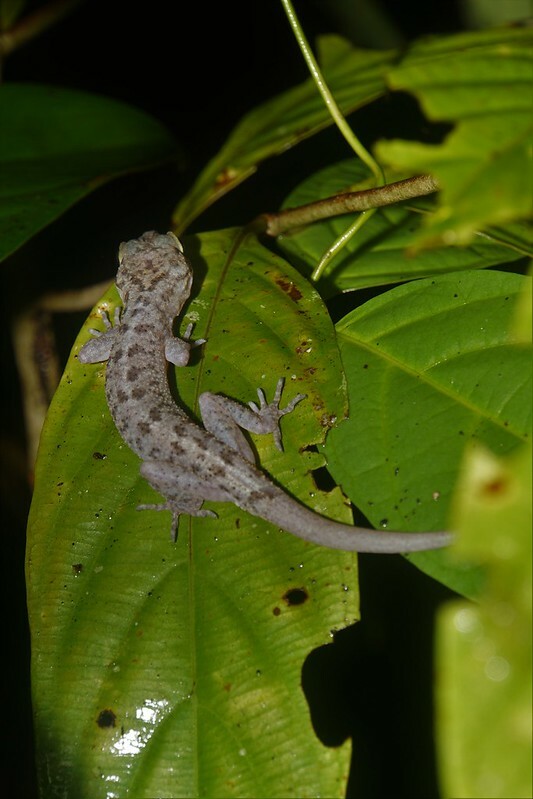 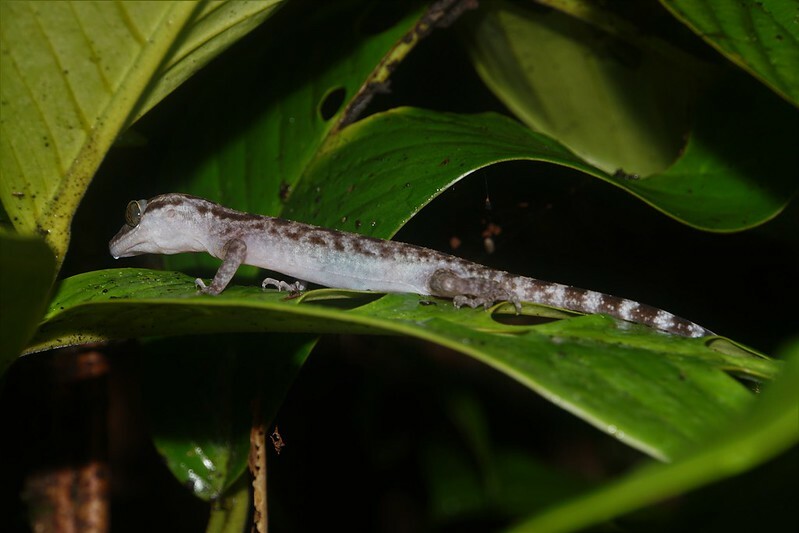 After that I found an agamid which, having blue eyes, made me think it was a juvenile of Blue-eyed Angle-headed Lizard, though its head was remarcably short, moreover it was found in horizontal, not vertical, position. 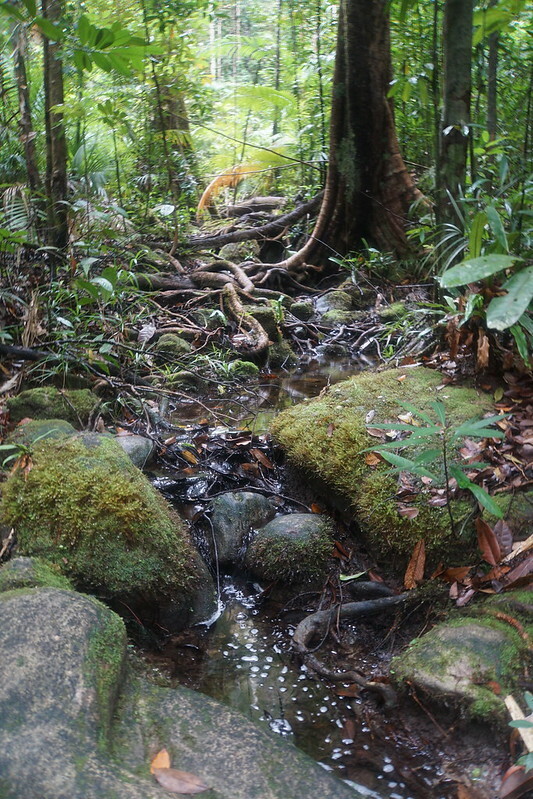 I have crossed some streams and many of them were home to Limnonectes frogs and some to water skinks. 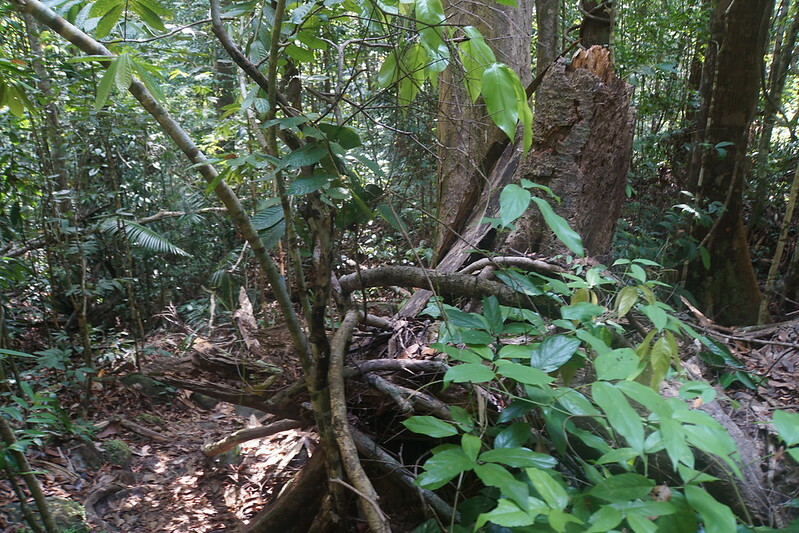 This specimen looks like Occidozyga laevis but it was found near waterfall and that habitat is unlikely for O. laevis. 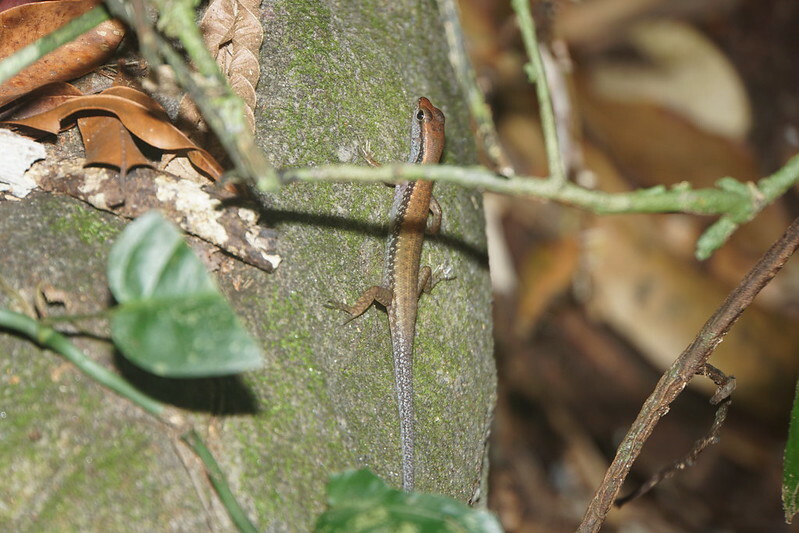 Nearby usual suspect was found- Staurois guttatus. 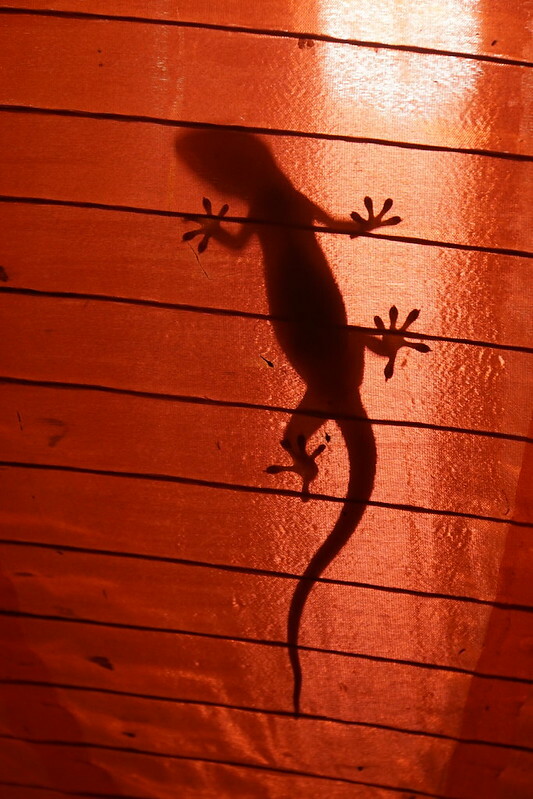 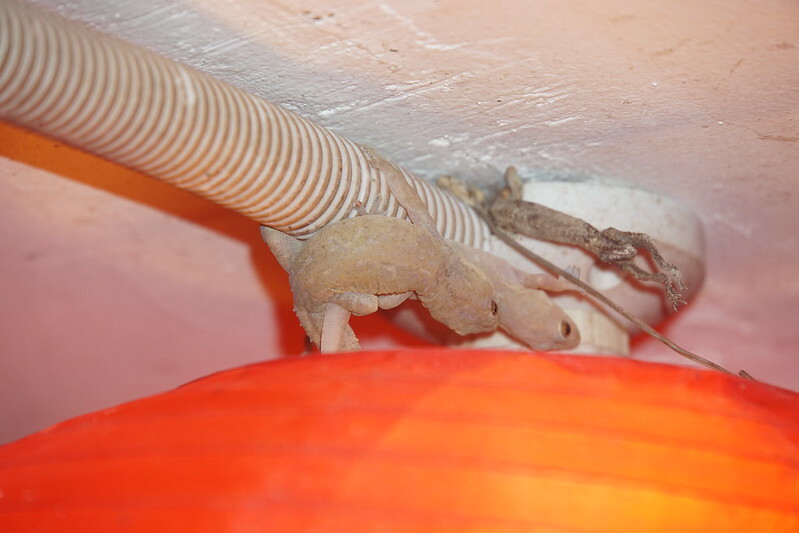 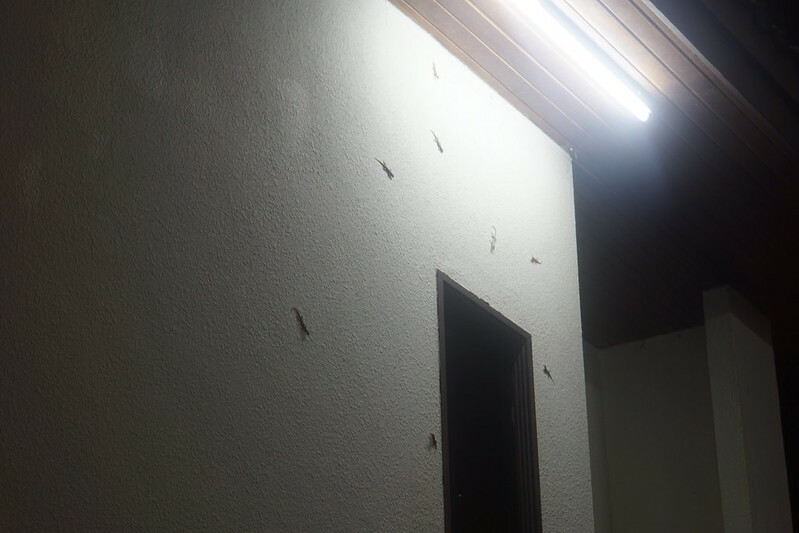 On hotel grounds there were many geckos attracted to light. 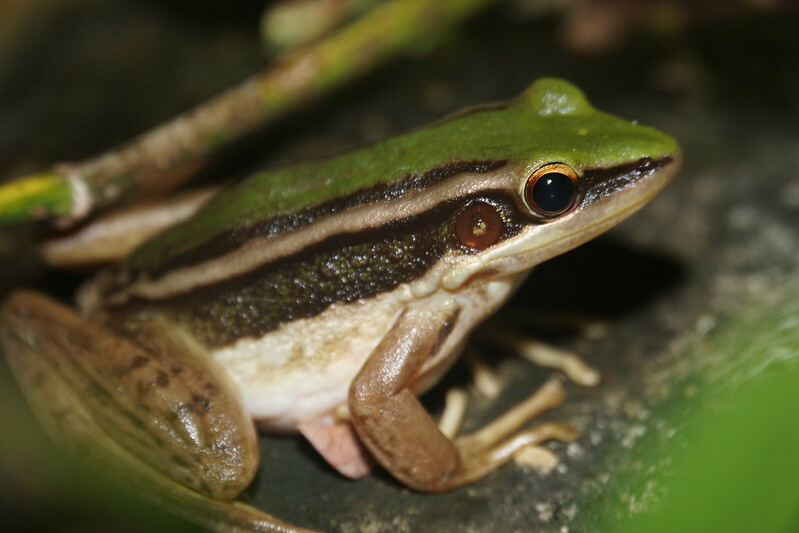 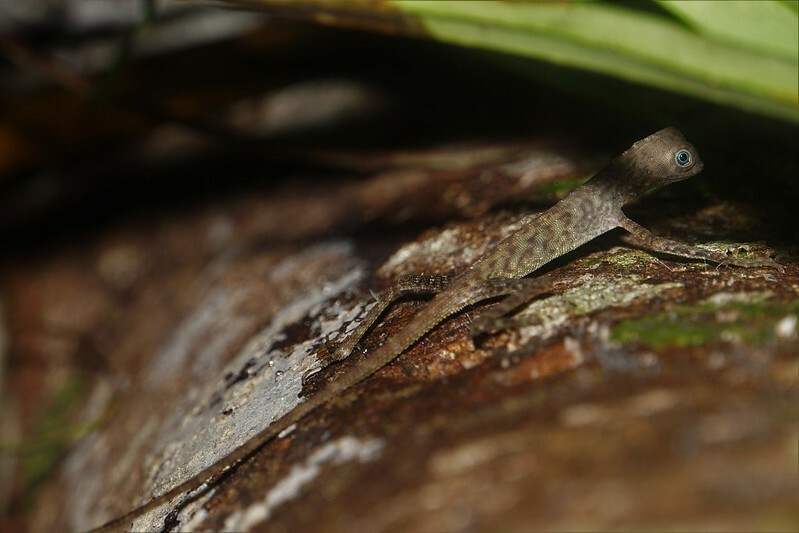 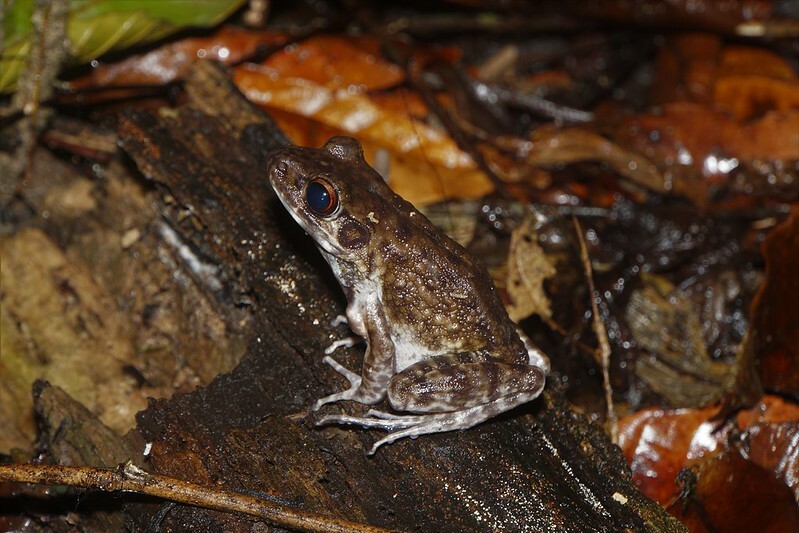 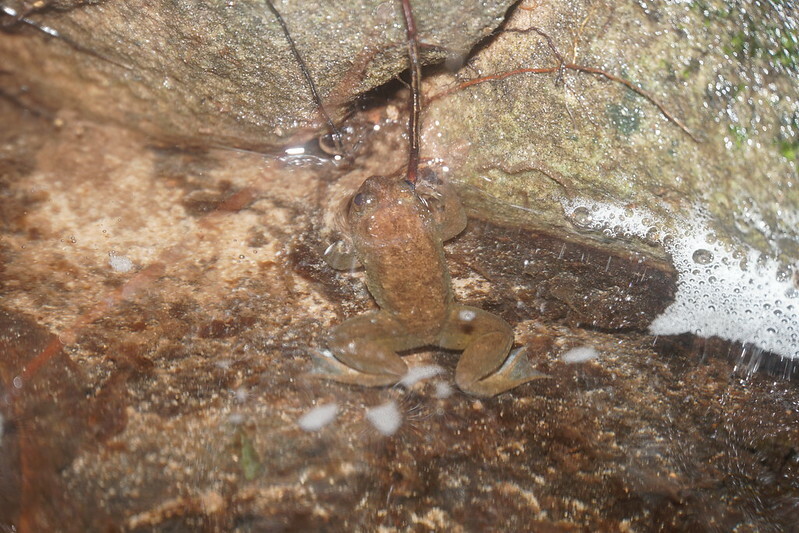 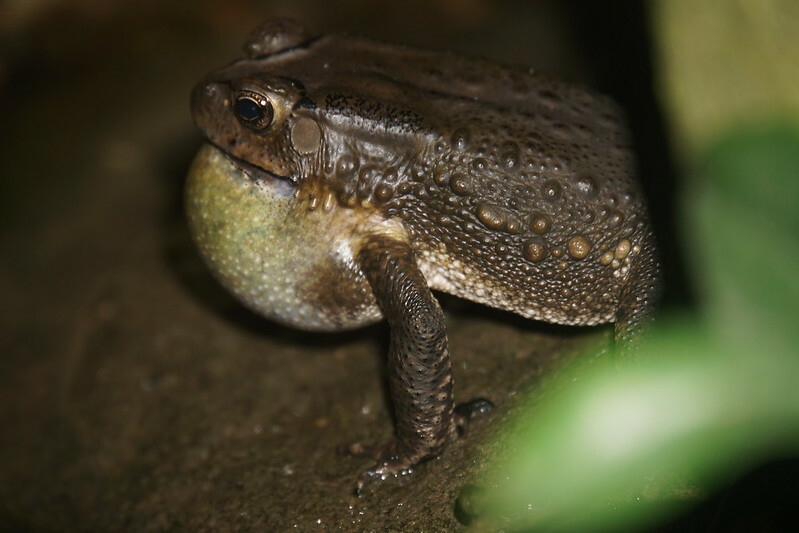 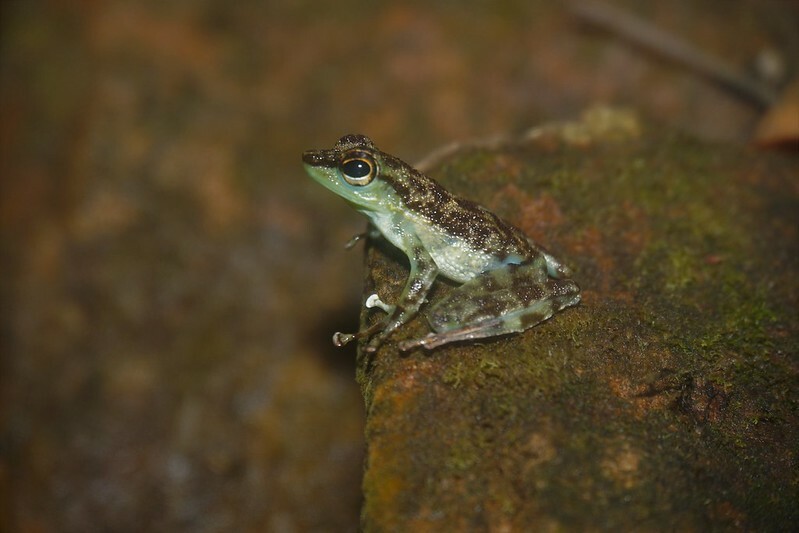 The frog below was found near group of calling Duttaphrynus melanostictus. 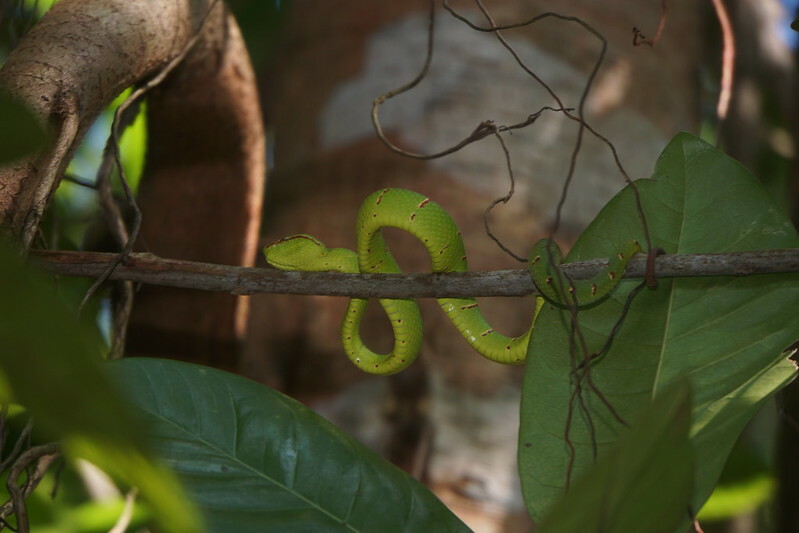 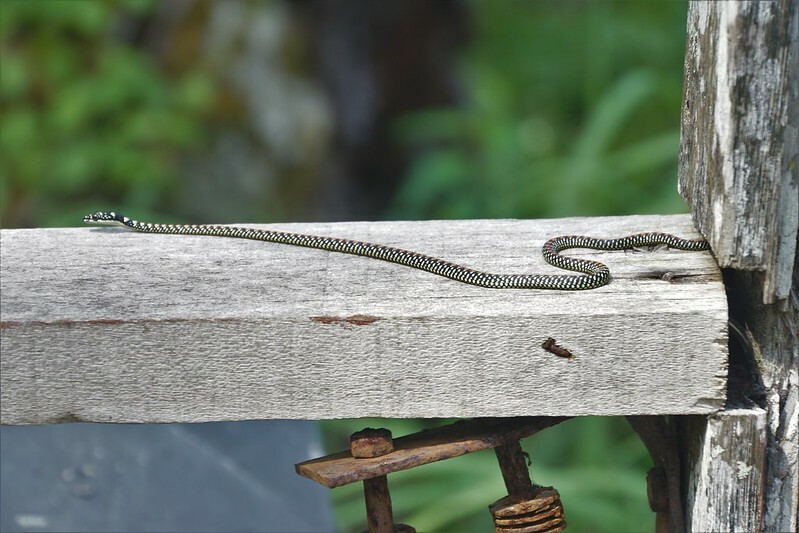 It was our last day in Damai so we visited Cultural Village where I quickly found a flying snake. 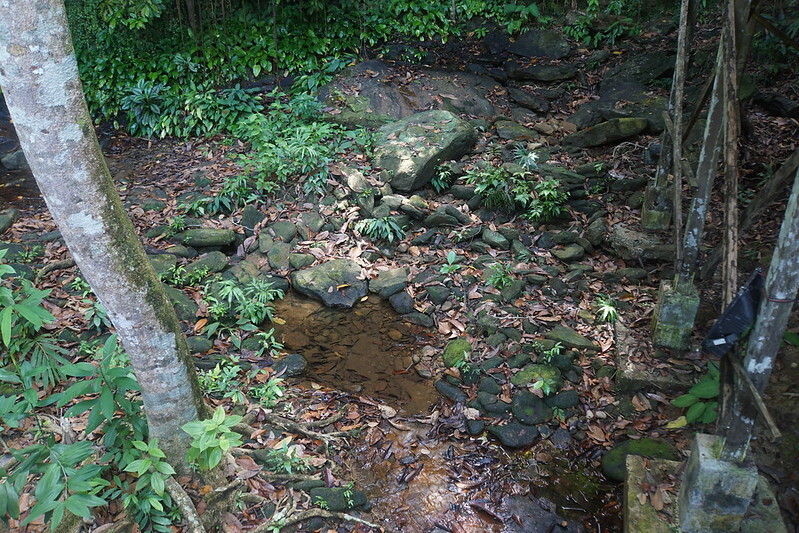 In that facility there were traditional buldings with people who were doing traditional things while wearing traditional clothes. 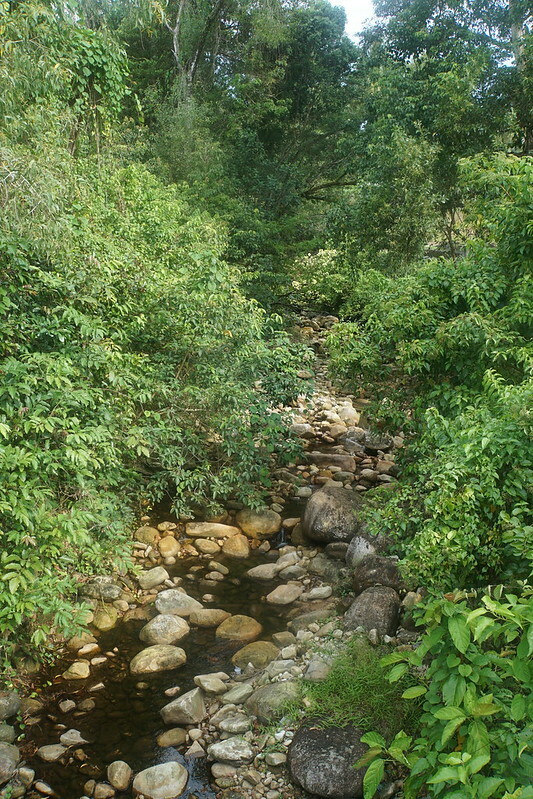 There is a lake in the middle but I did not notice any frogs there. 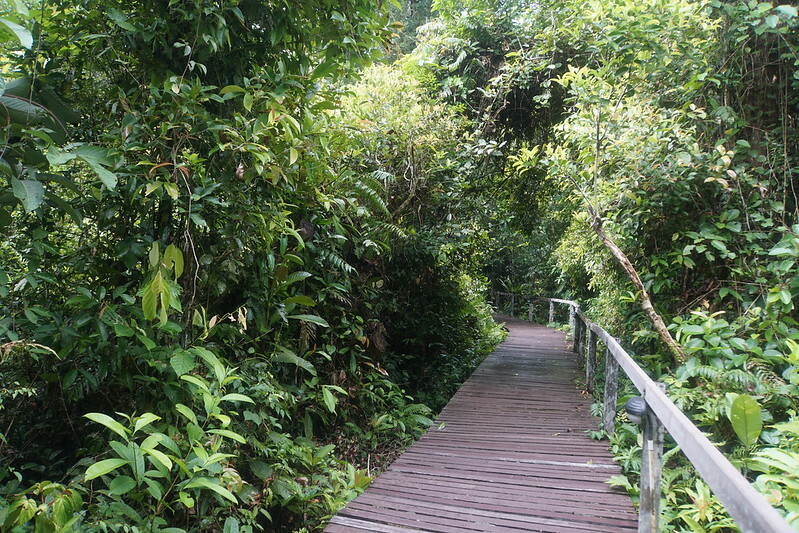 But at the back there is a waterfall and a stream which enters that lake later. 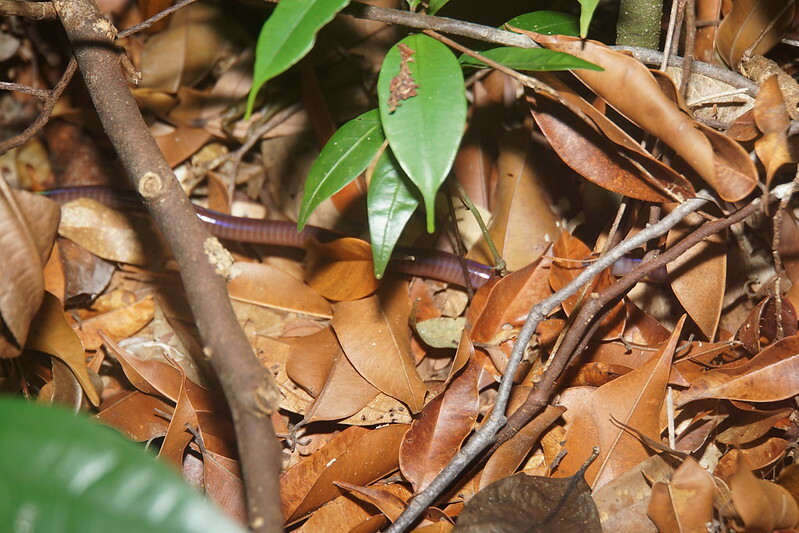 This is where I found Chalcorana raniceps. 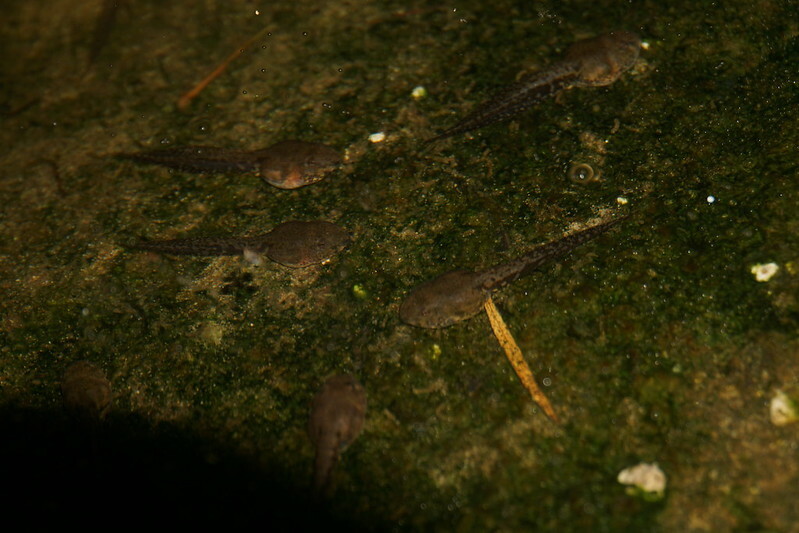 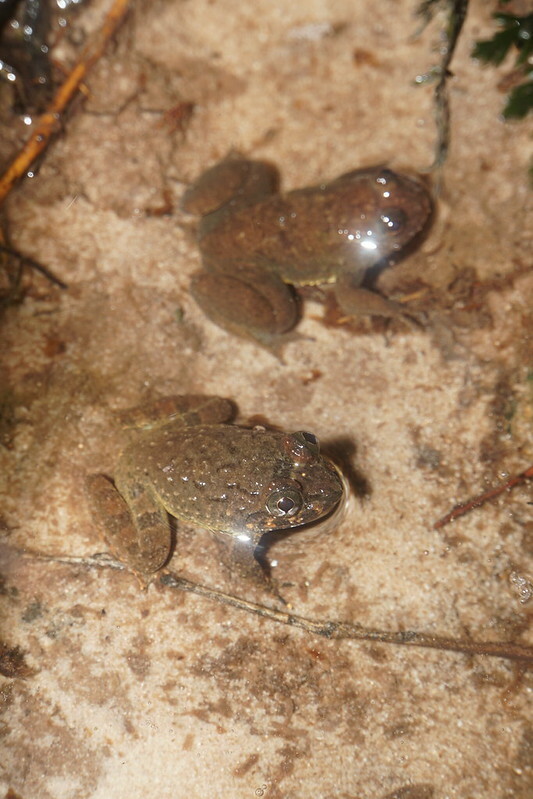 In the puddle nearby there were also non-skittish tadpoles in different stages of development. 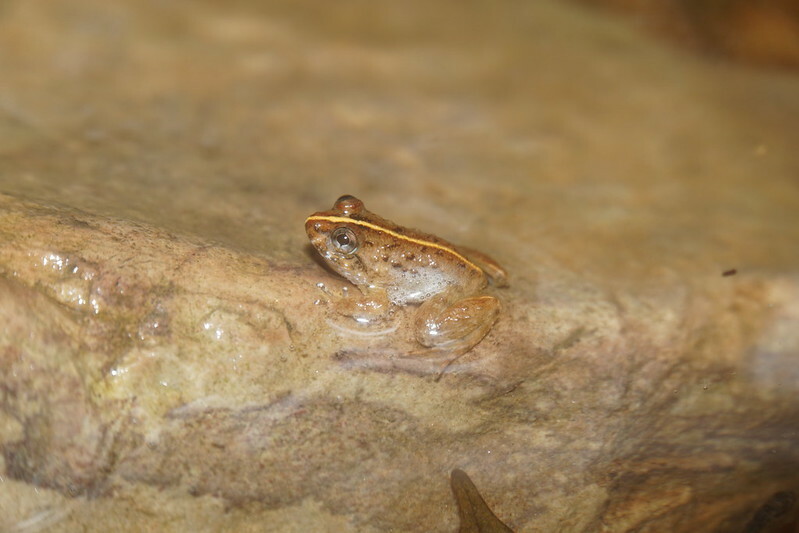 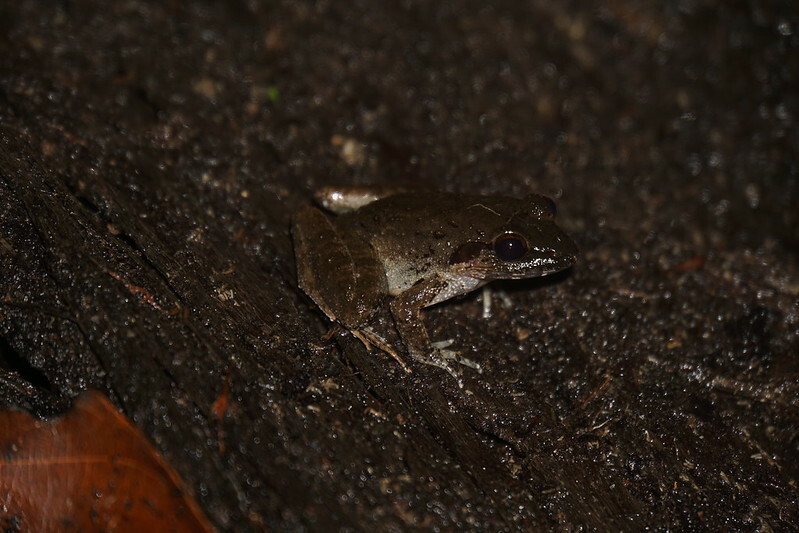 And a tiny (juvenile) Limnonectes frog whose hind legs were fully webbed suggesting membership of Limnonectes conspicillatus, however we should keep in mind that this might be only because of the juvenility. 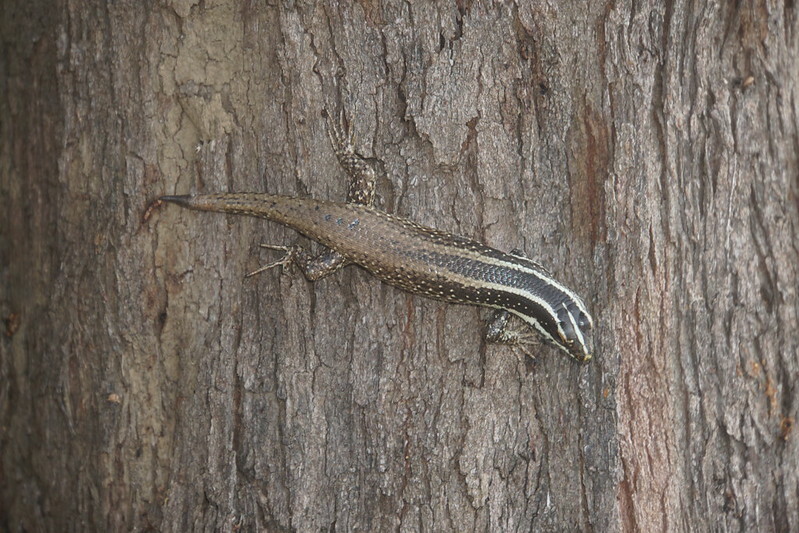 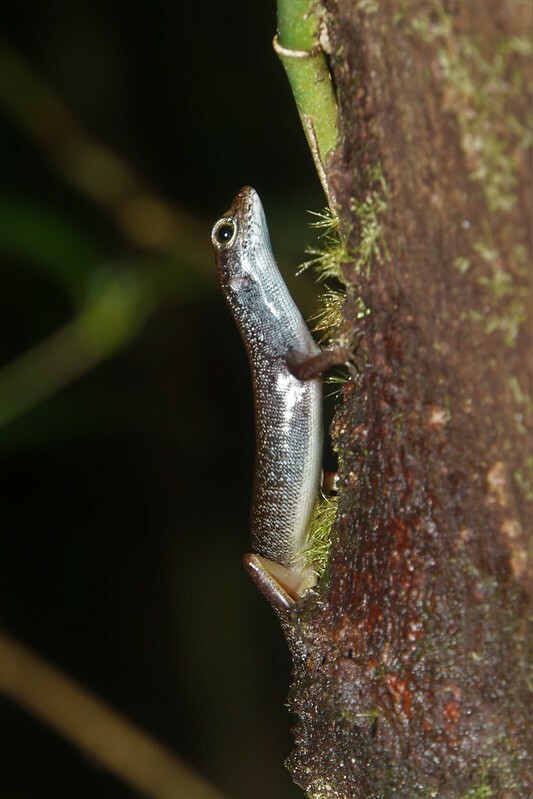 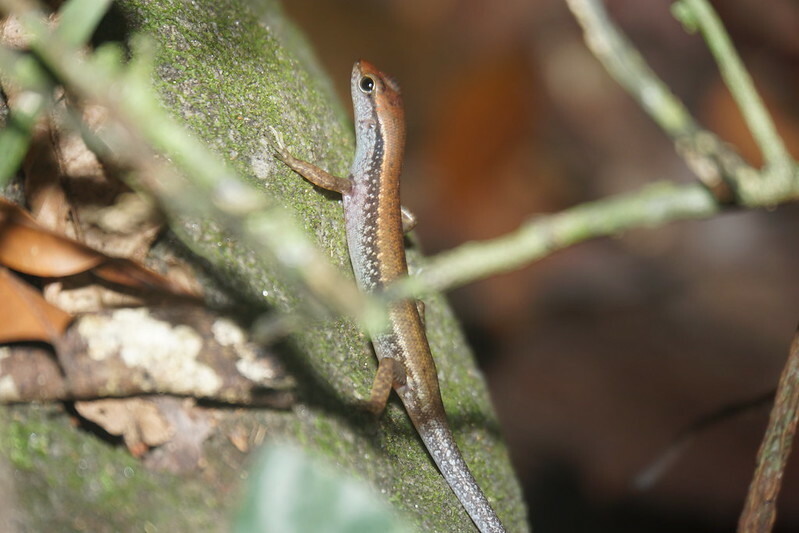 There was also a Common Sun Skink in the Cultural Village but I posted photos of this species before. 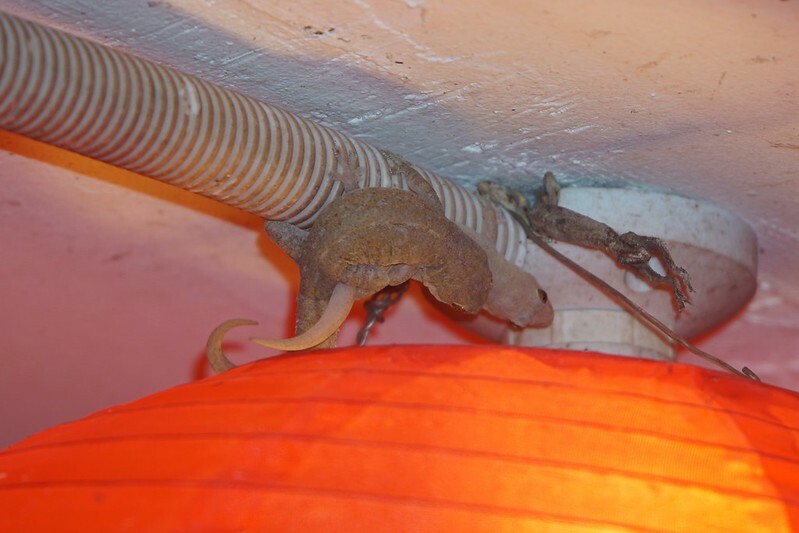 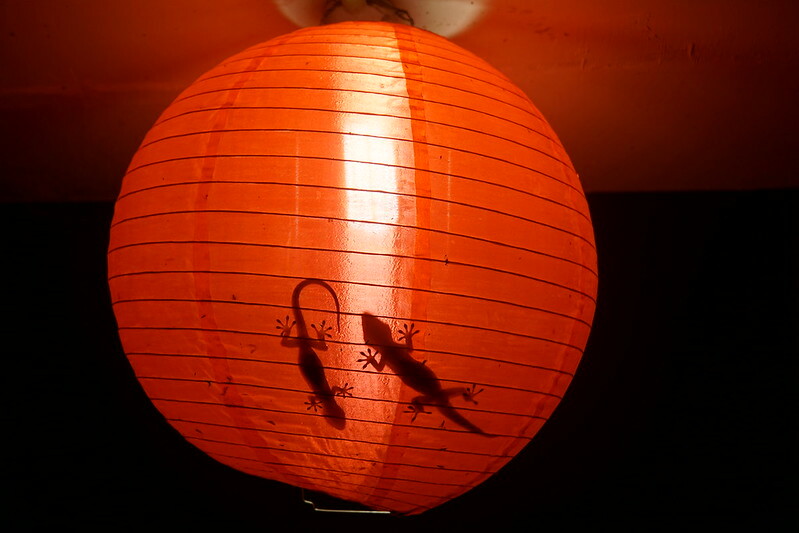 In my hostel there were Chinese paper lanterns (one of the owners is Singaporean Chinese) that were home and food source for geckos. 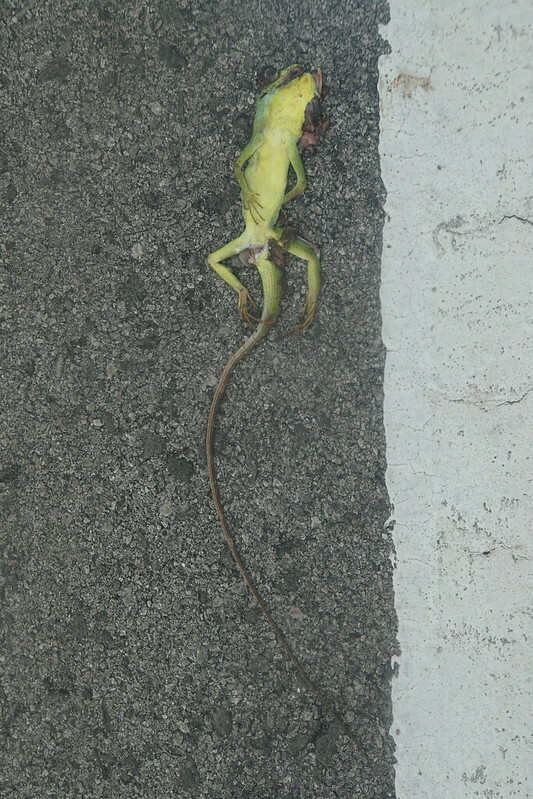 Notice dead individual in the photo below, maybe it was killed by electricity? 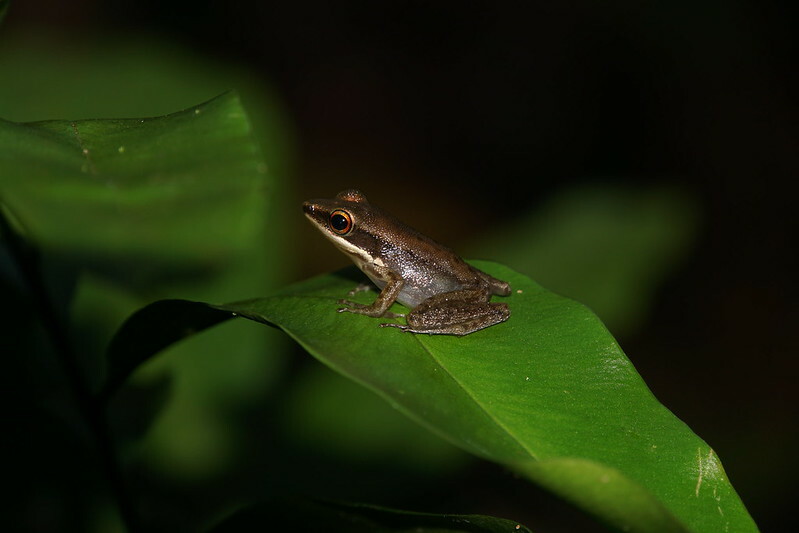 This species above was common throughout the jungle, we could hear them calling more than any other frog species. 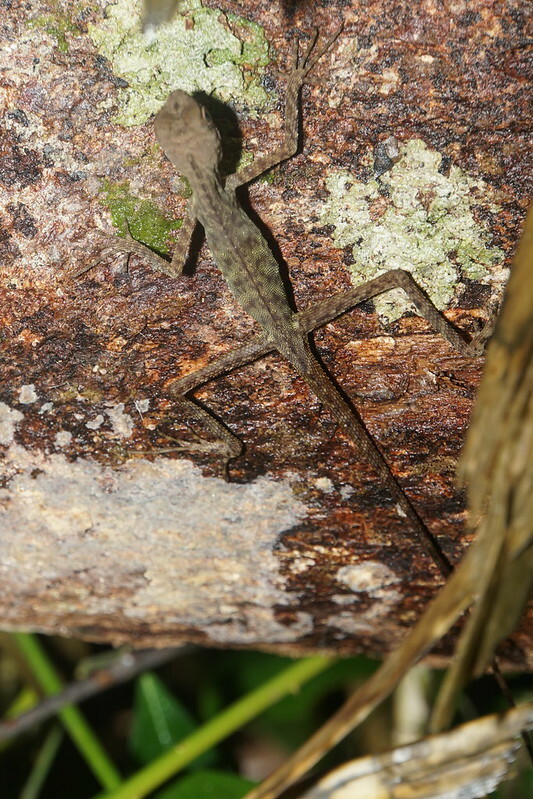 We found also some stick-insects etc. 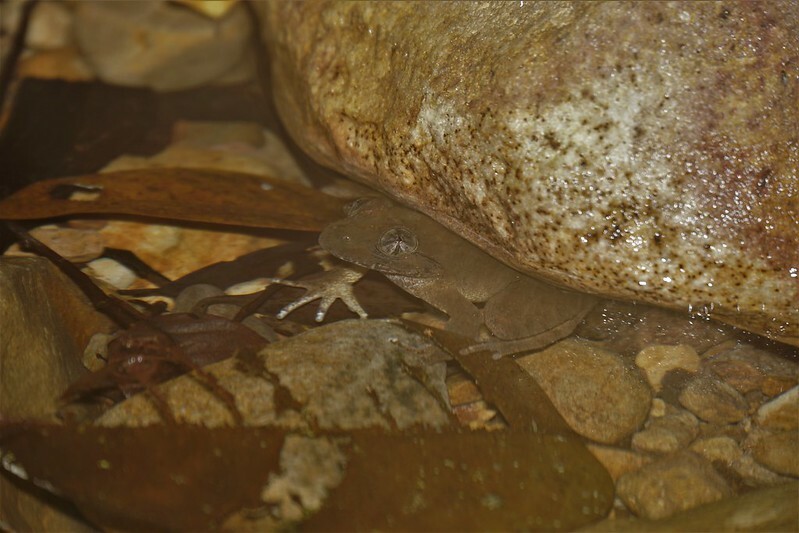 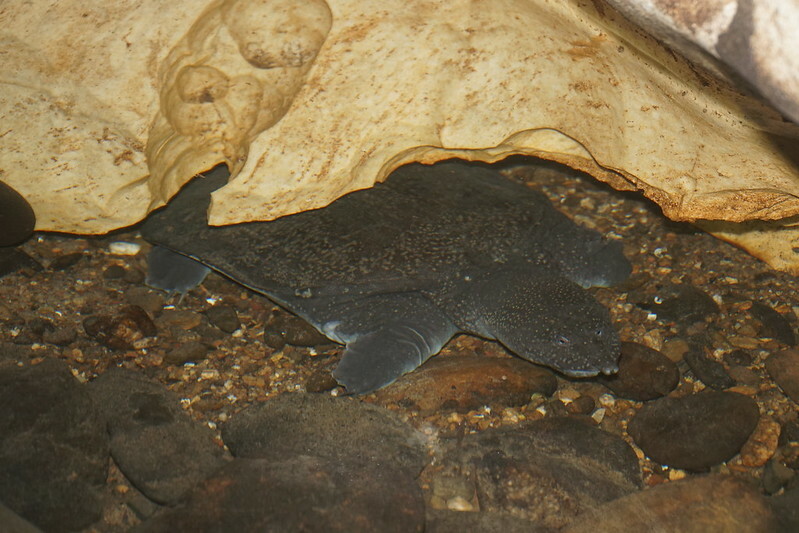 This beautiful soft shell turtle was near entrance to cave in a stream. 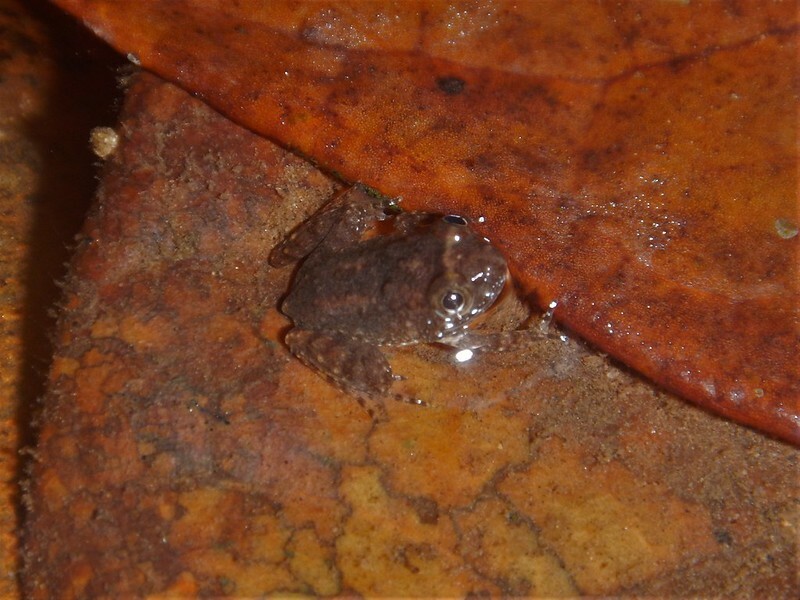 This frog was found on a bank of a pond in jungle. 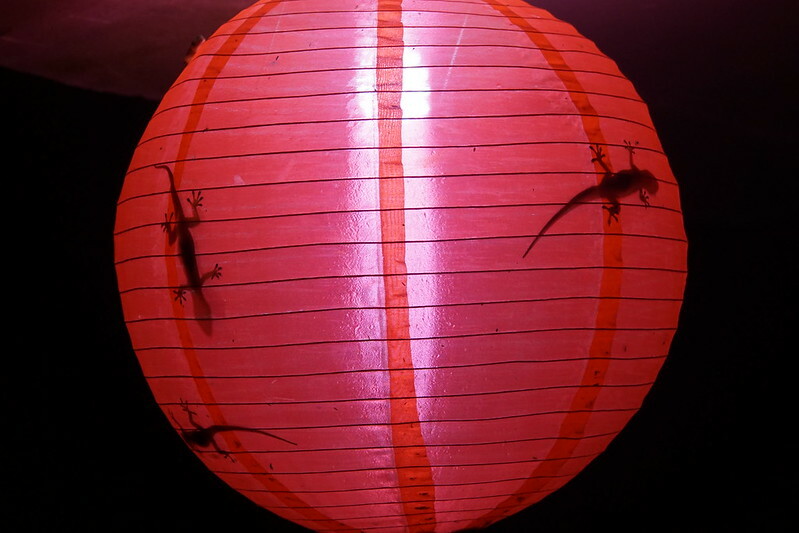 Chinese paper lanterns and geckos I mentioned before. 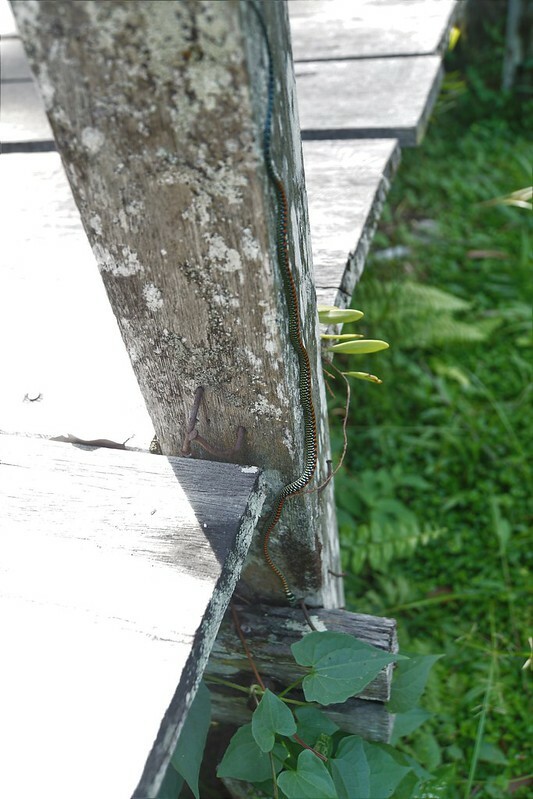 It was big. 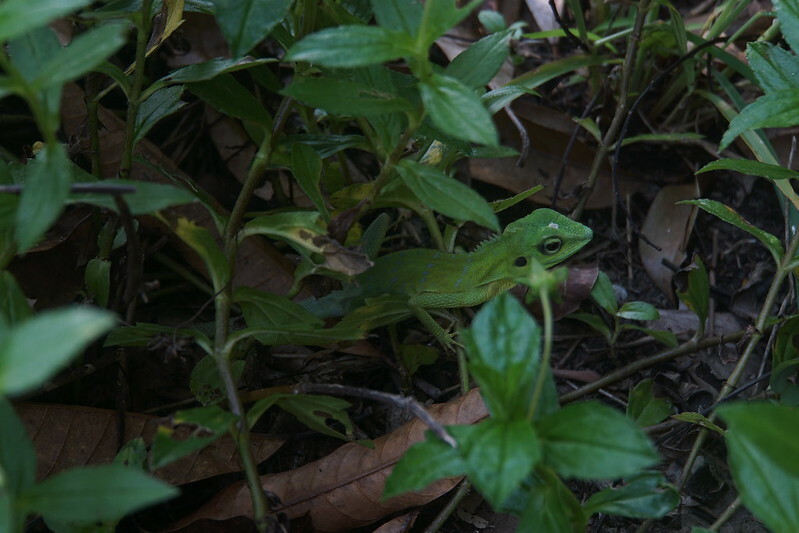 I found him in the same spot both when going to treetop walk and when coming back. 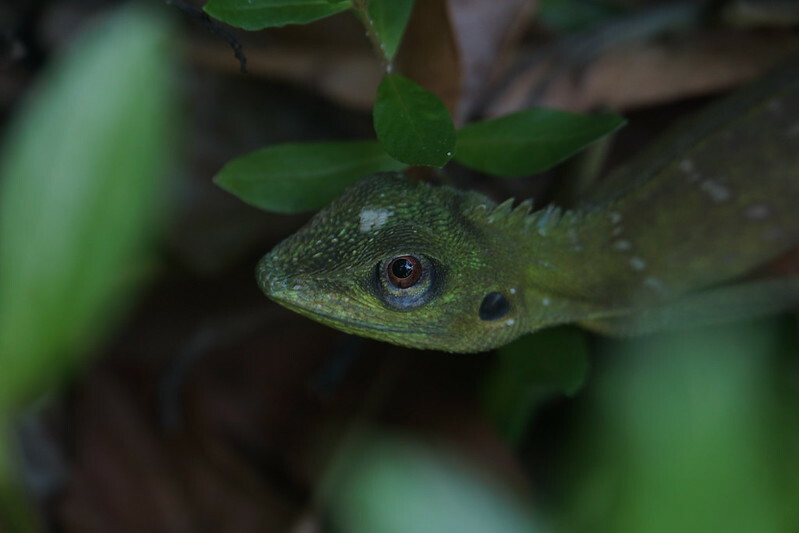 This beauty was spotted by me. 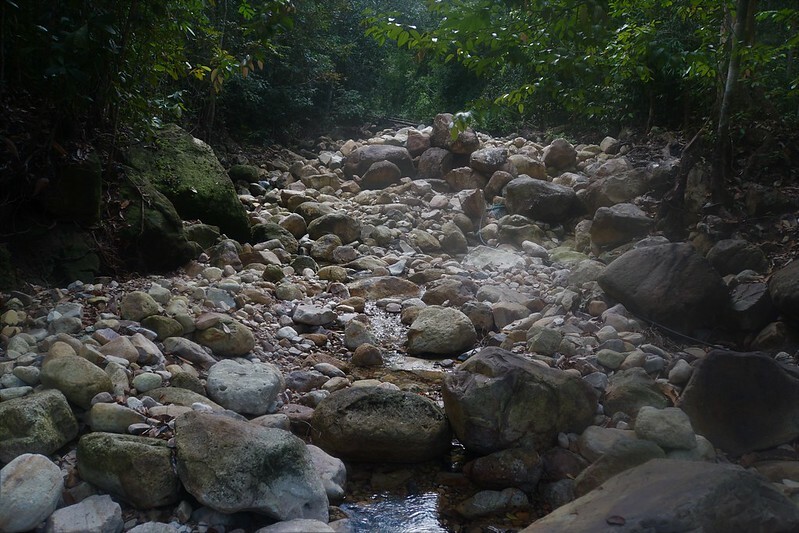 Then we crossed rivers but there were no snakes or turtles, though they live there and can be found sometimes as my guide told me. 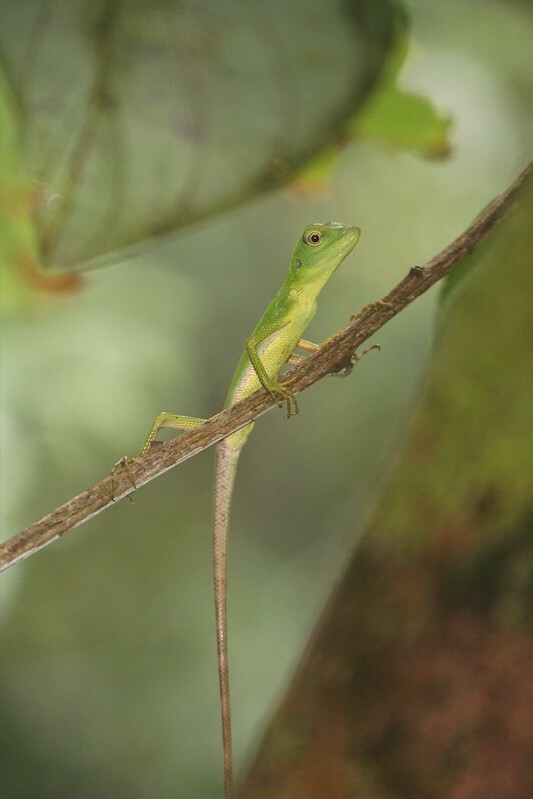 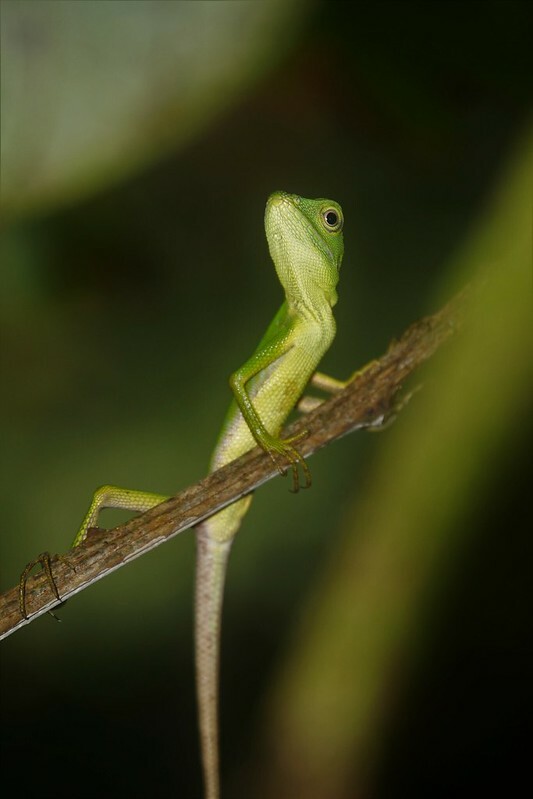 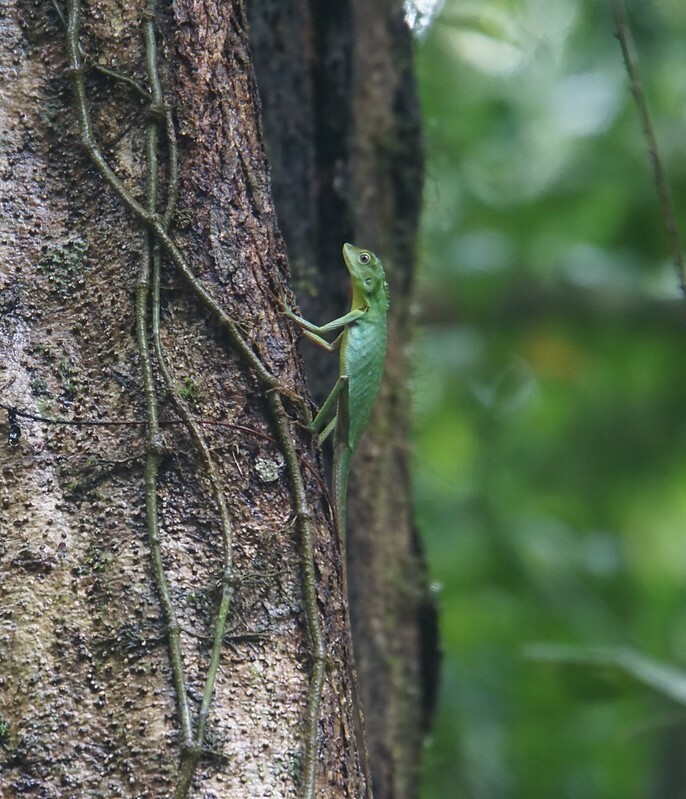 Canopy walk was nice and I found juvenile Green Crested Lizard very high above ground level there. 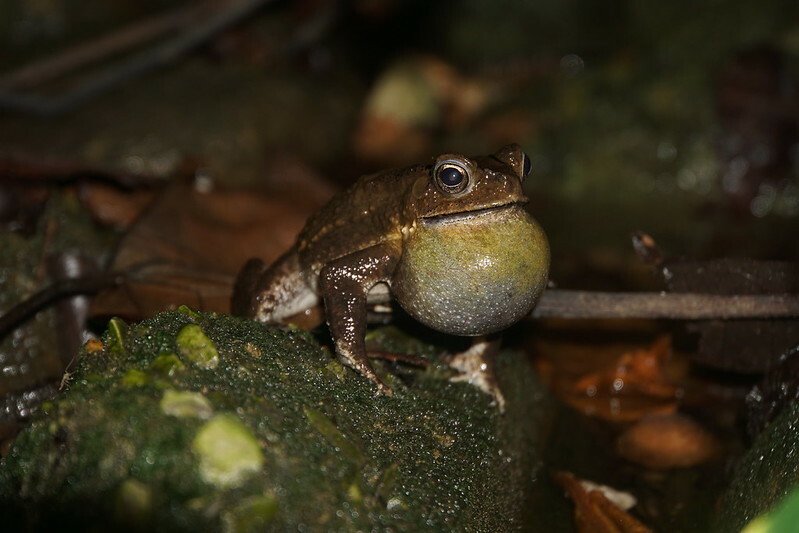 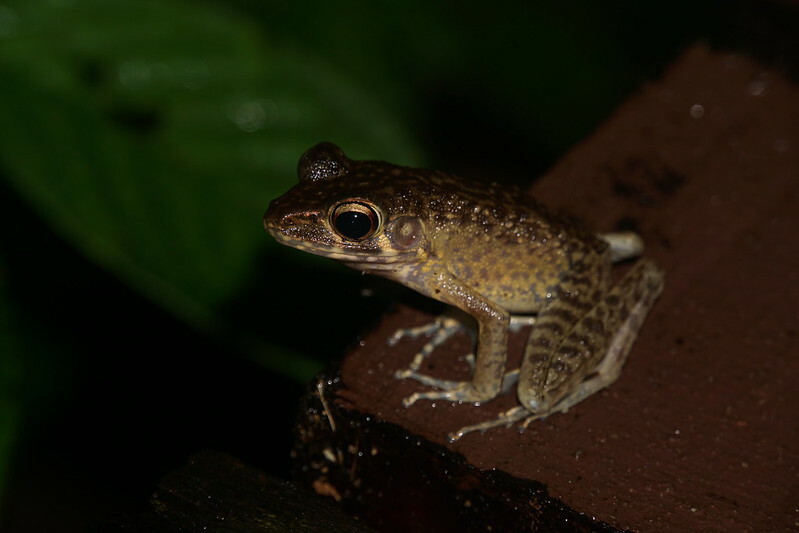 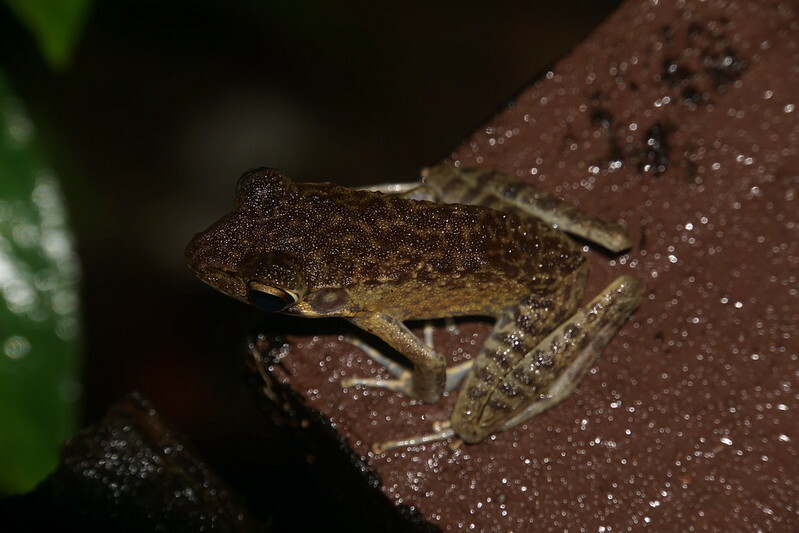 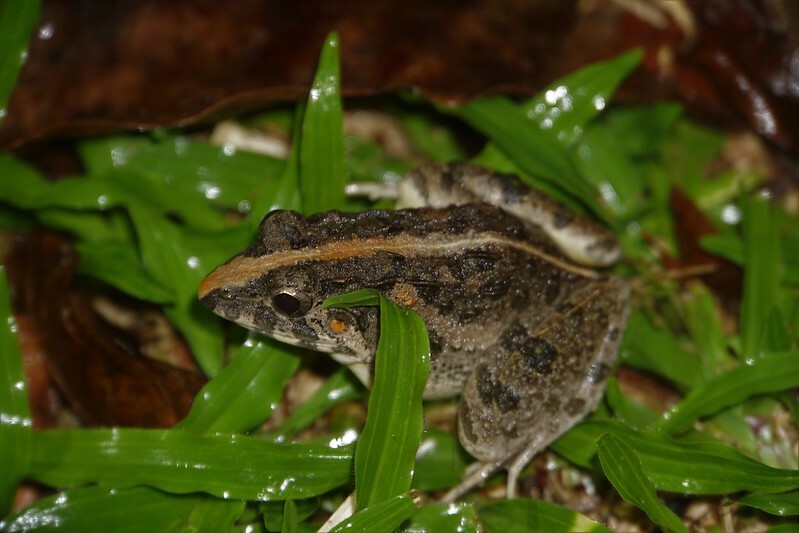 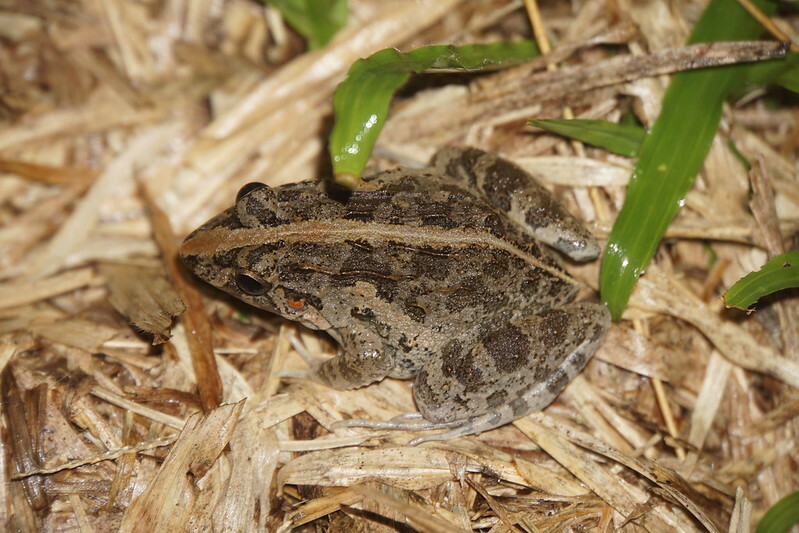 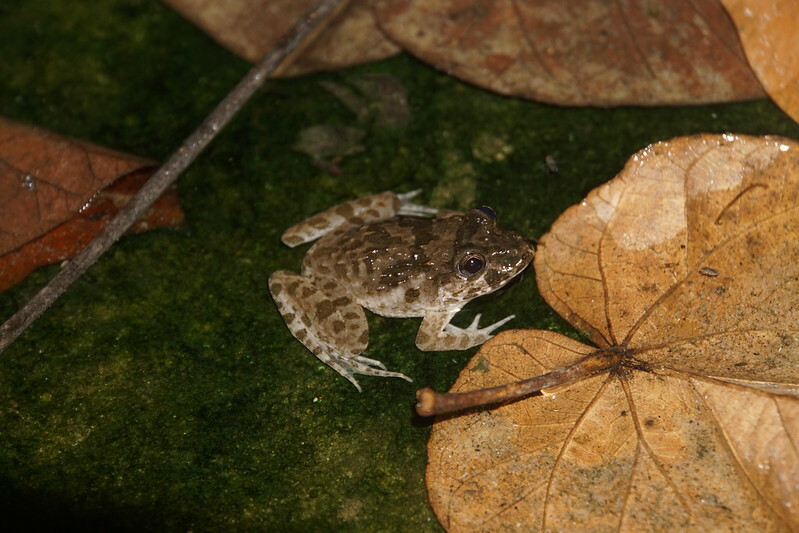 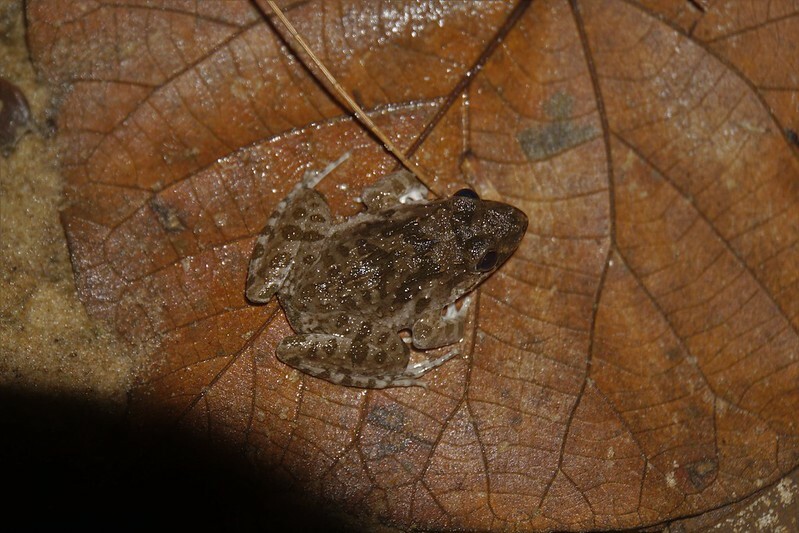 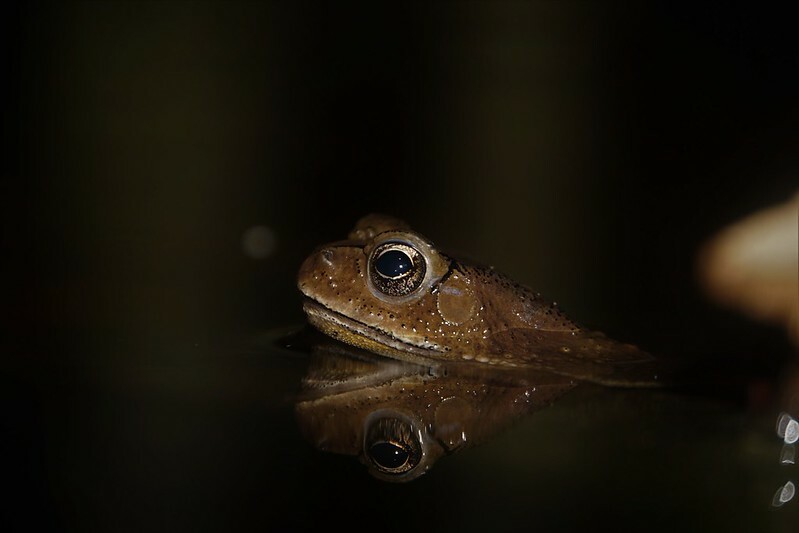 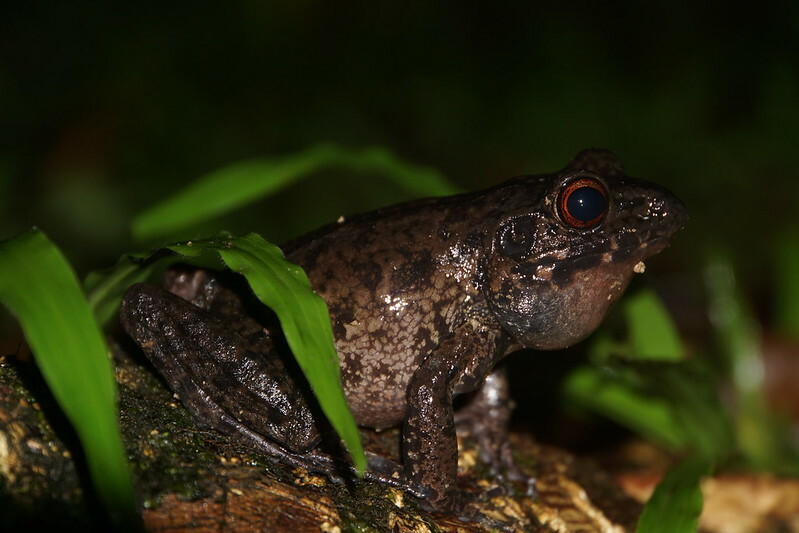 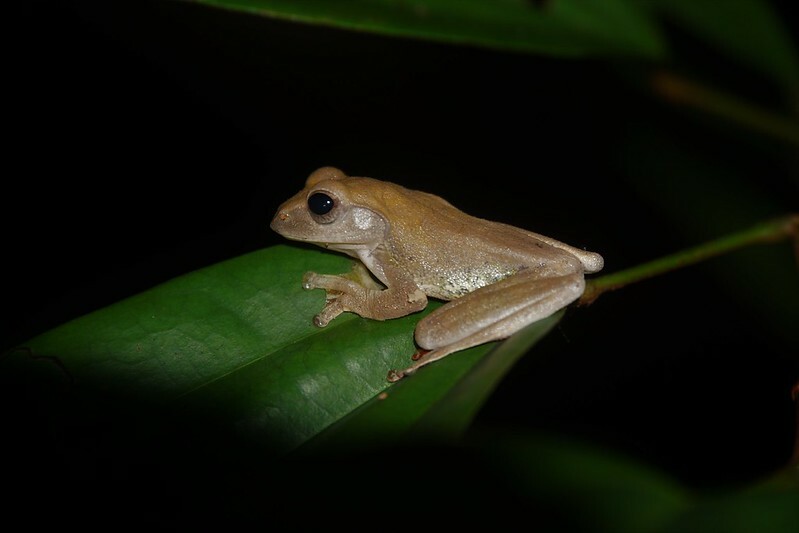 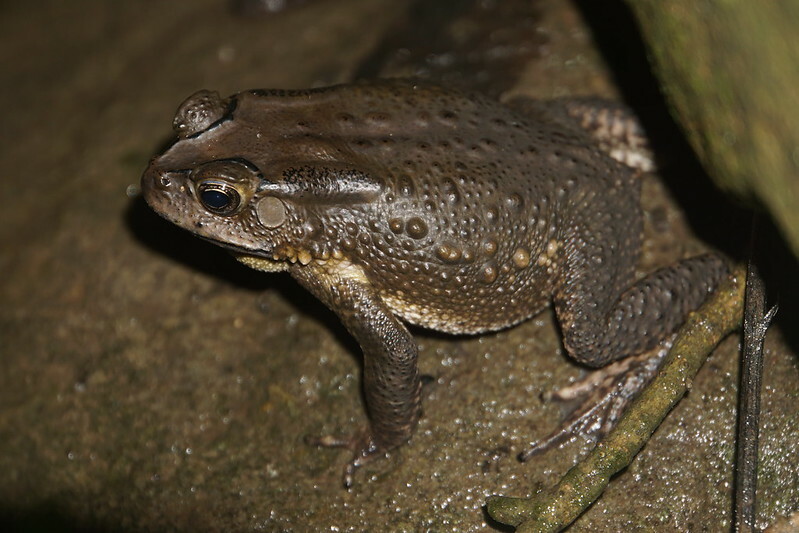 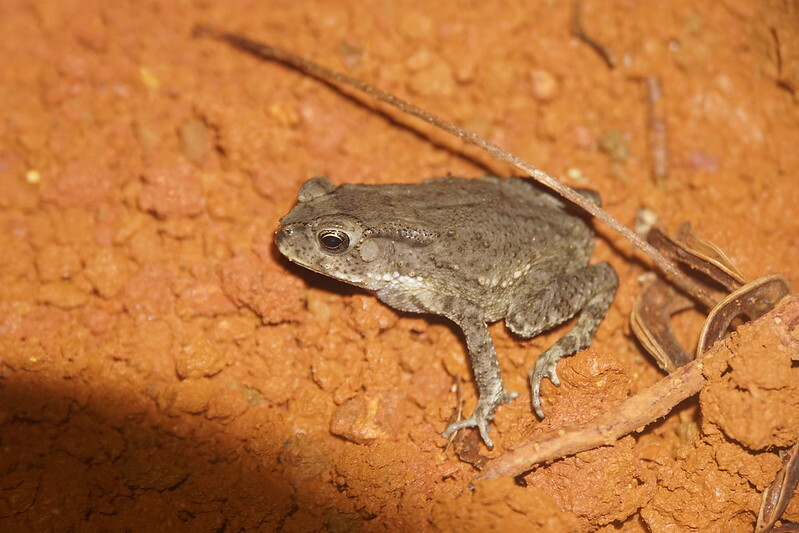 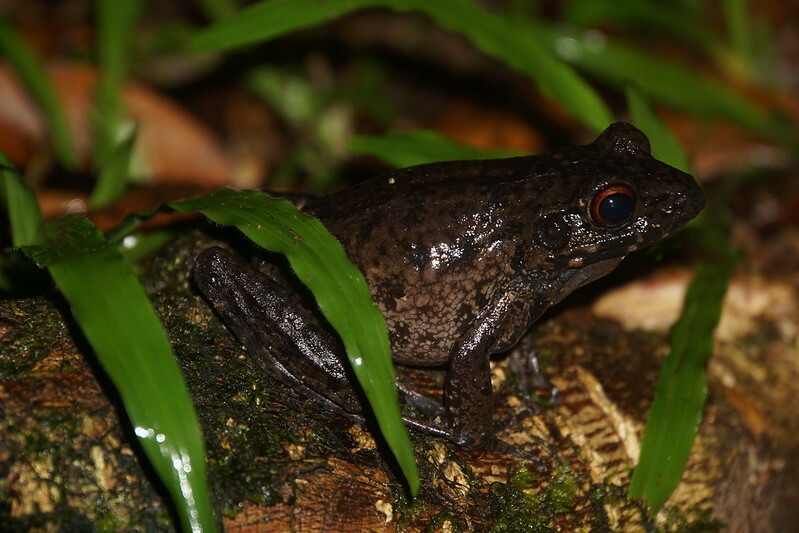 At night, having heared vocalisation of frogs in my hostel I decided to investigate a bit and I found Pulchrana glandulosa, Fejervarya limnocharis, Polypedates macrotis.